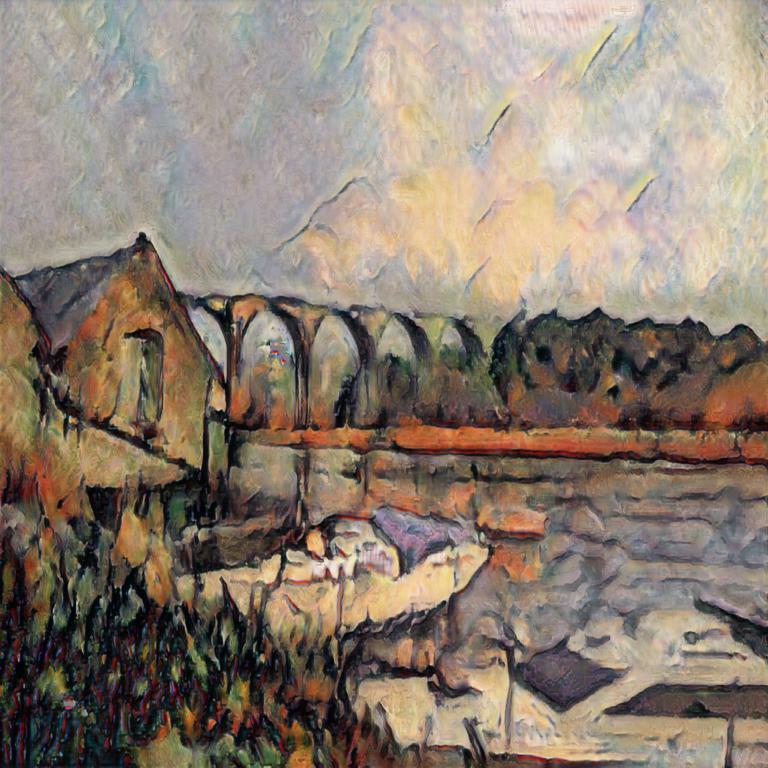 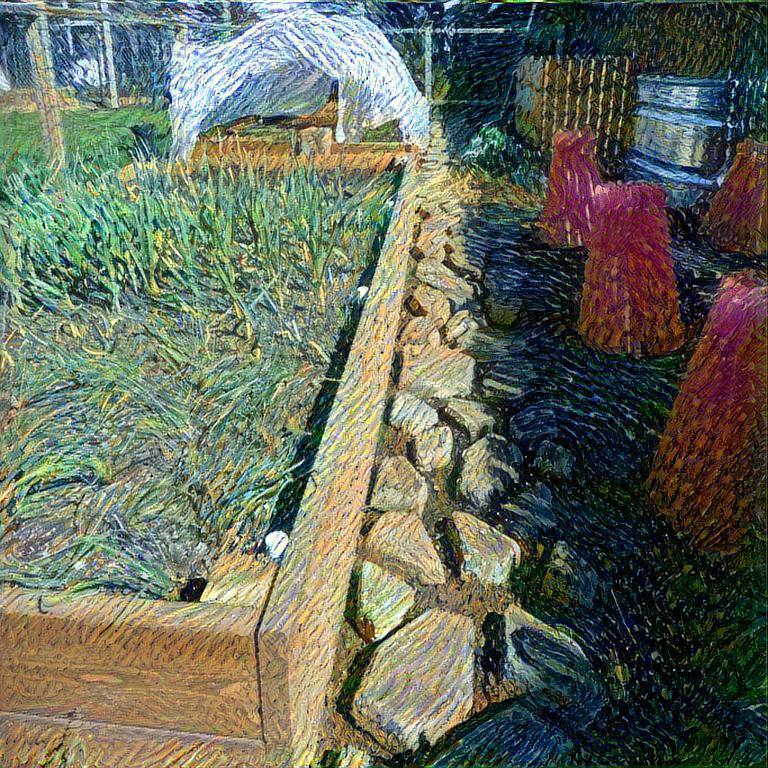 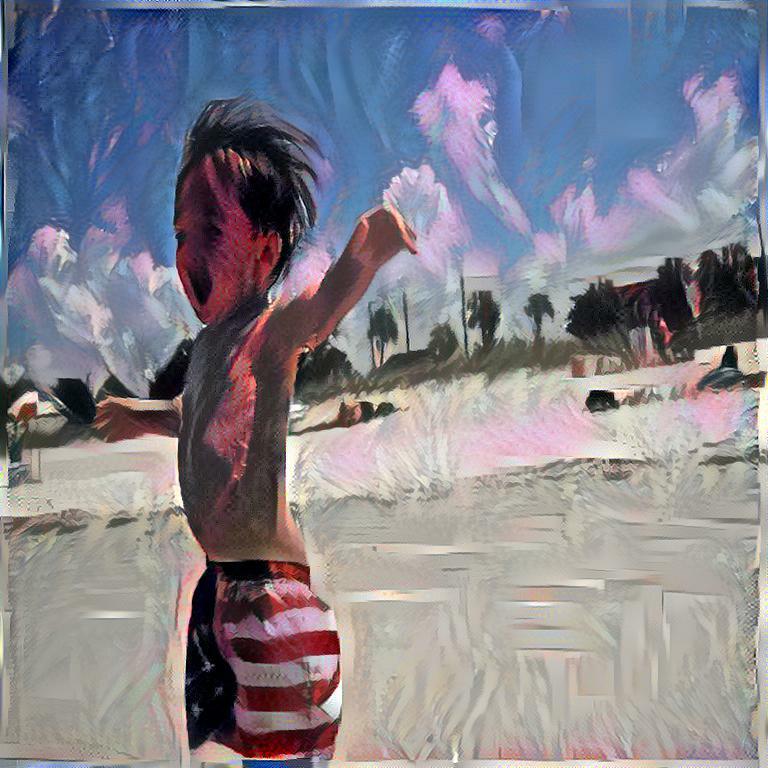 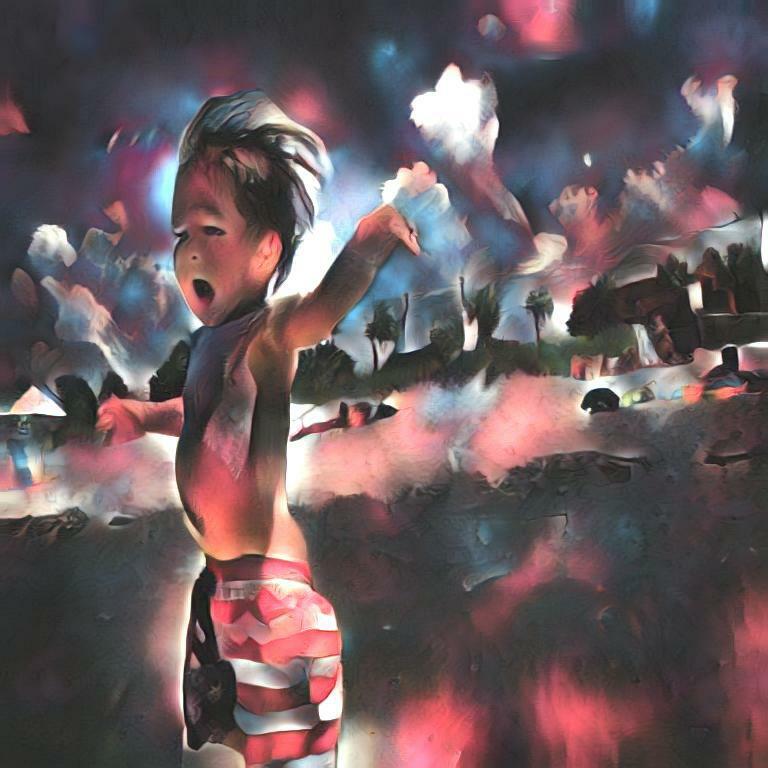 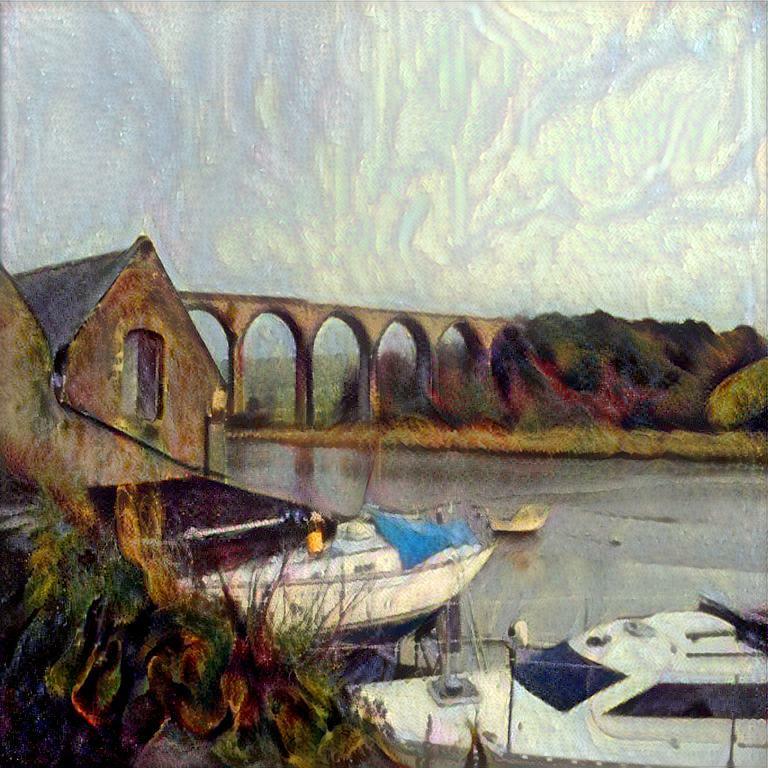 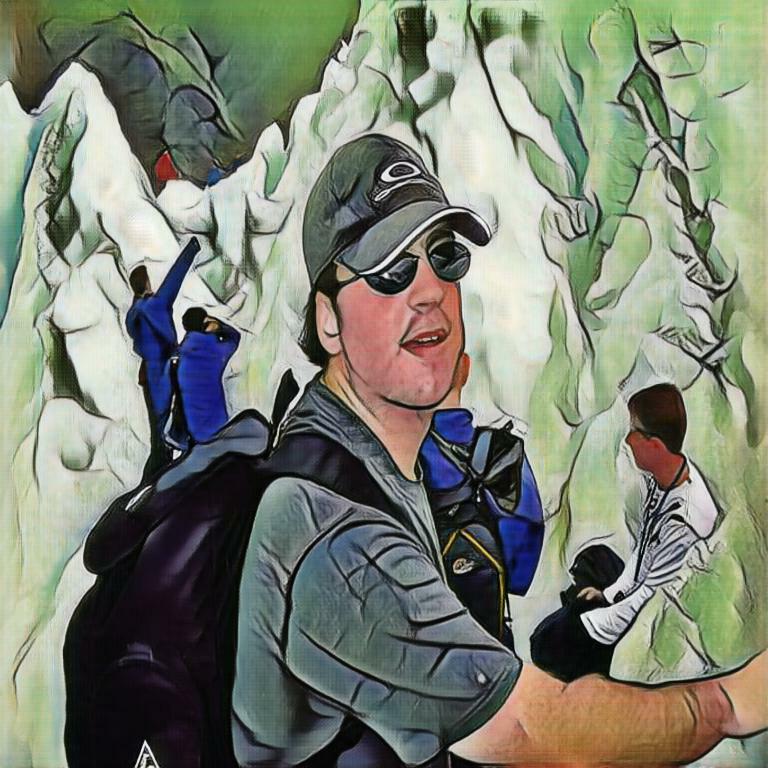 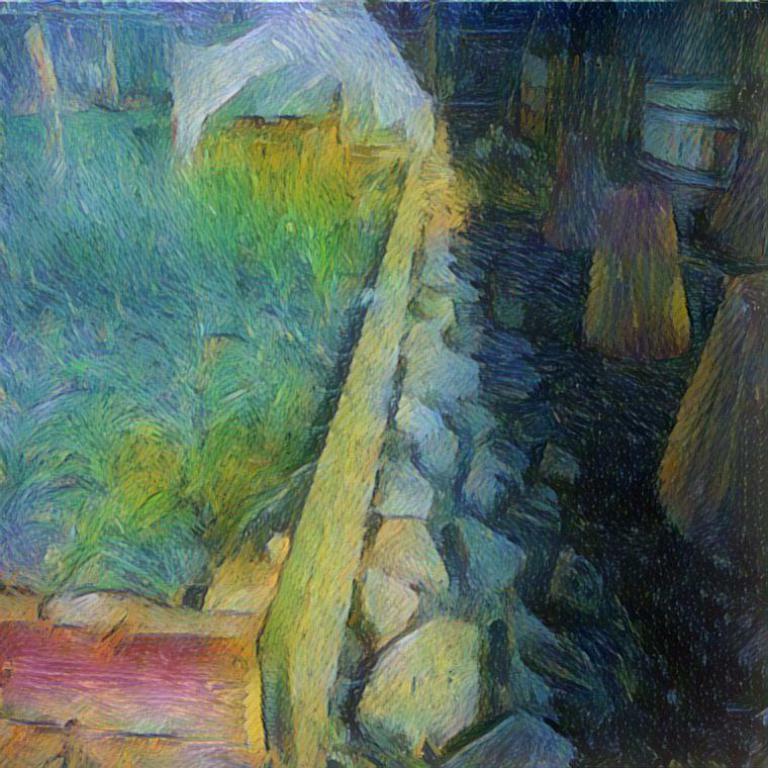 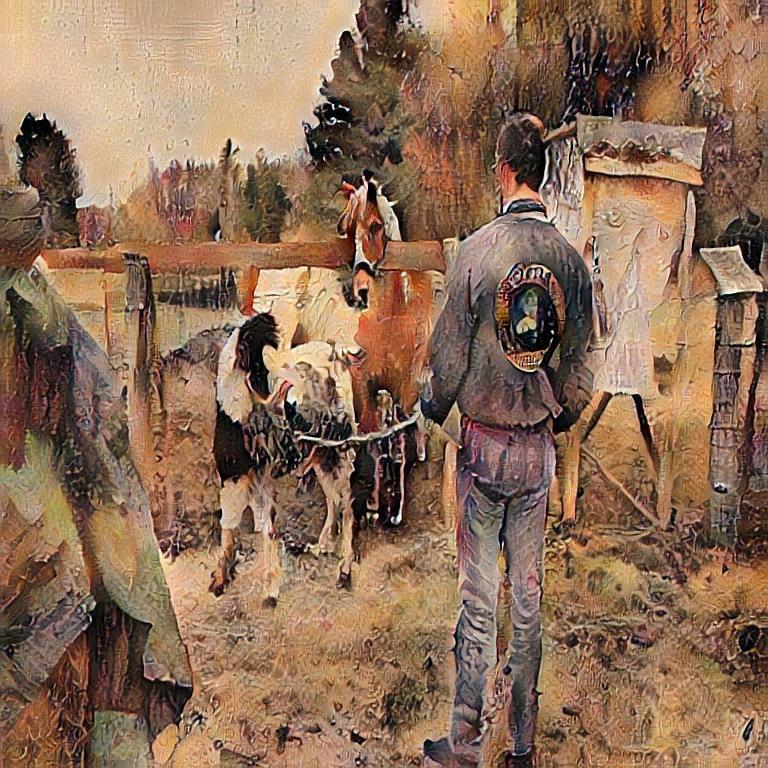 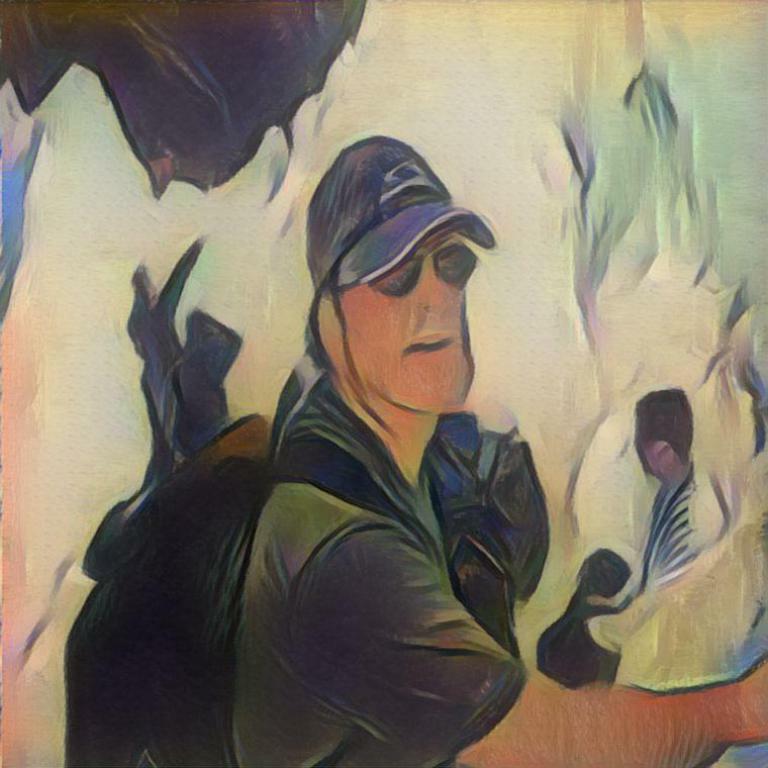 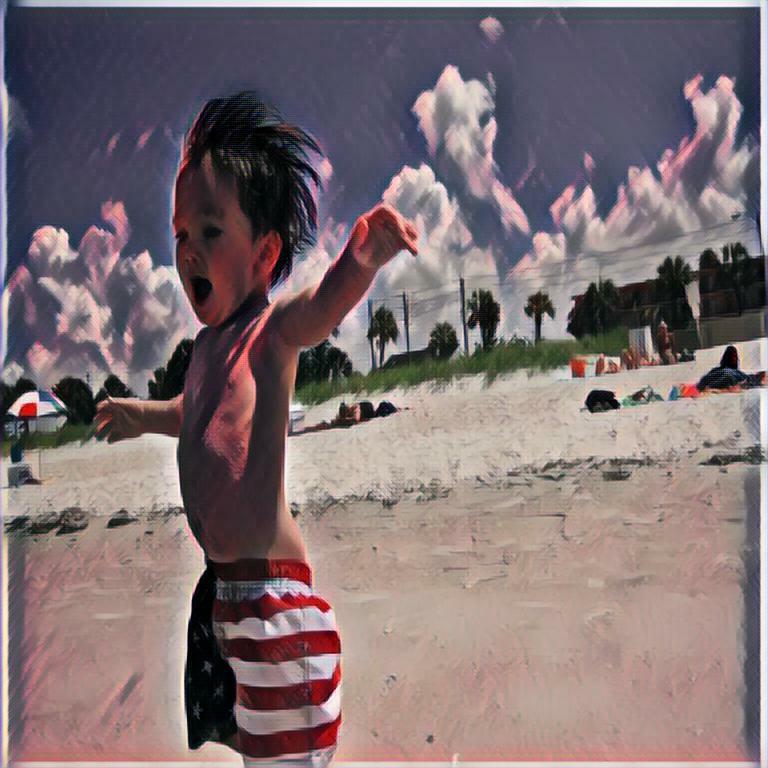 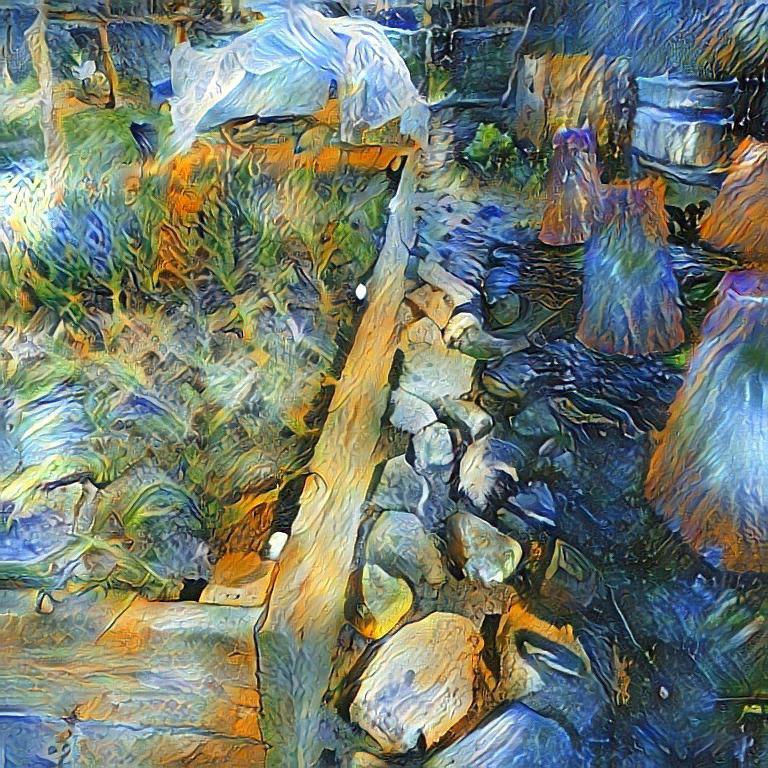 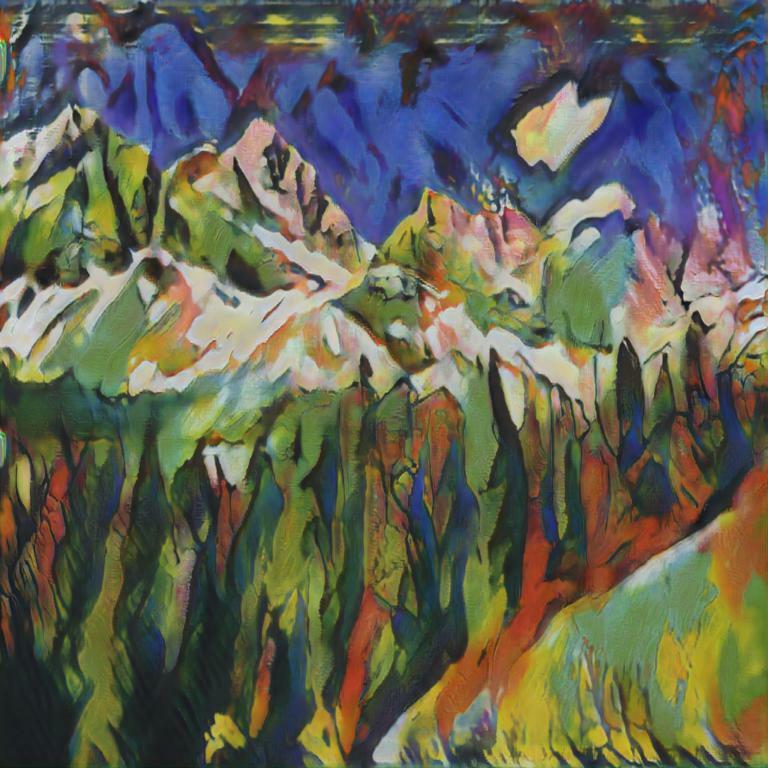 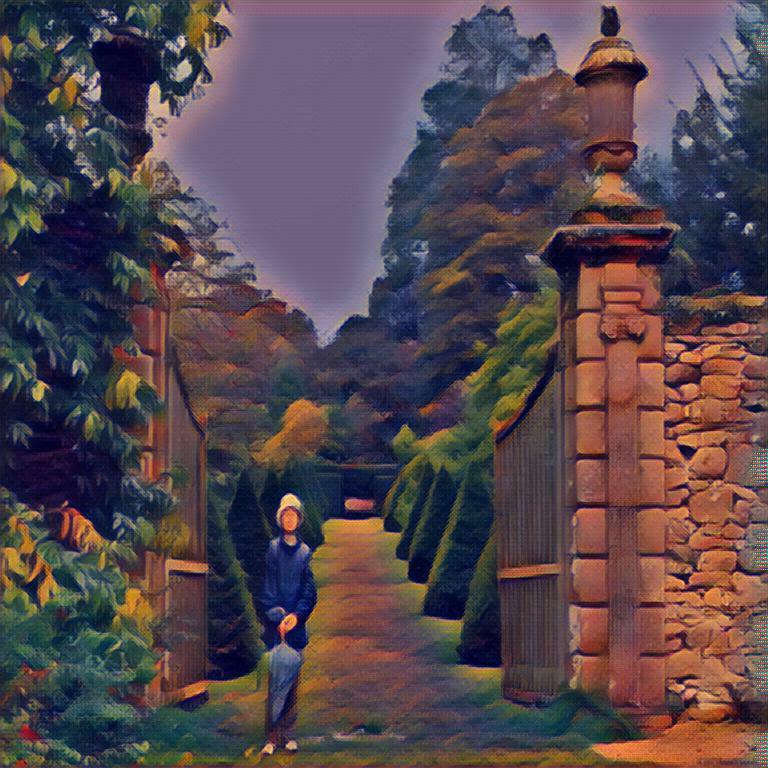 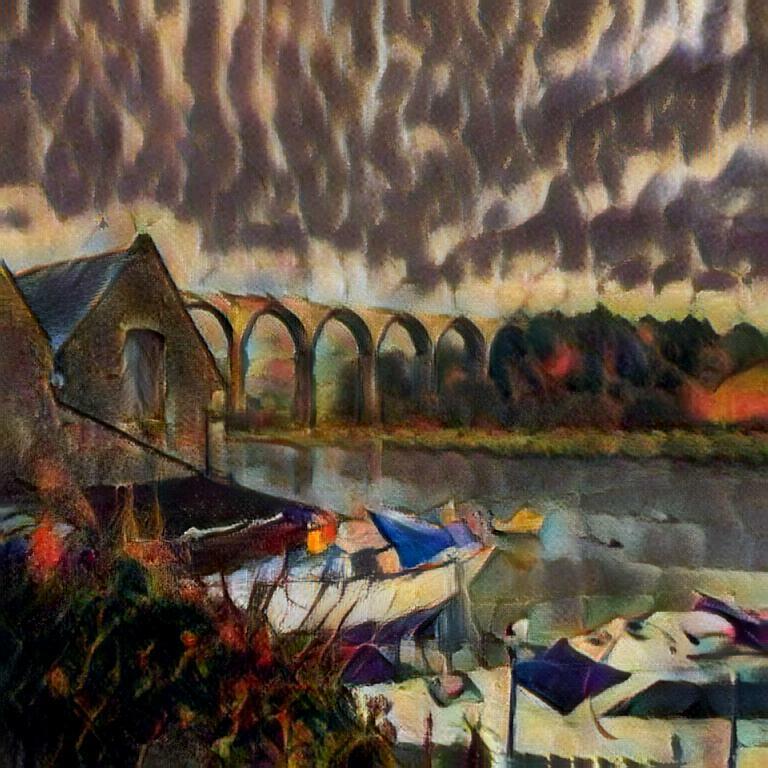 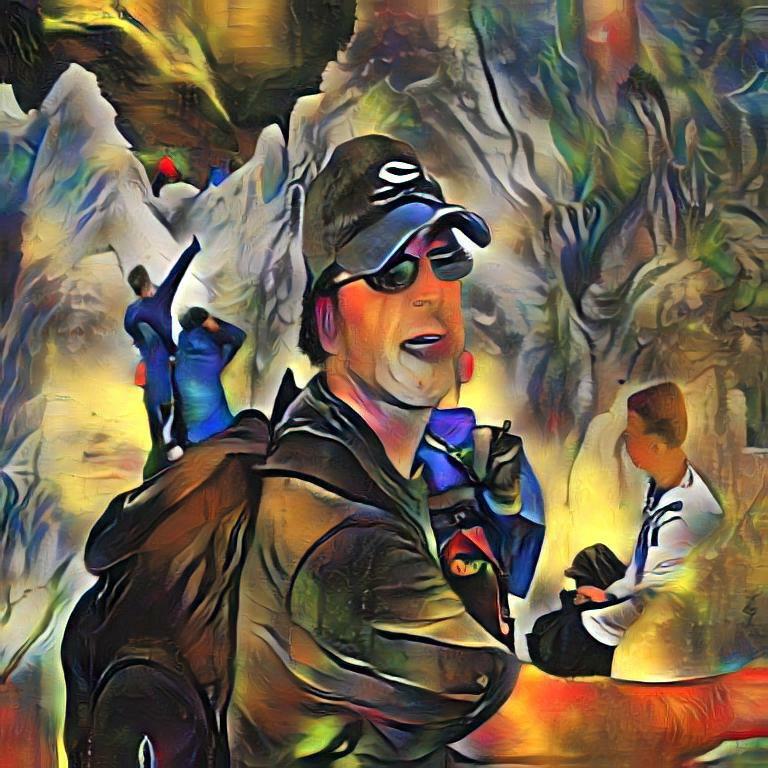 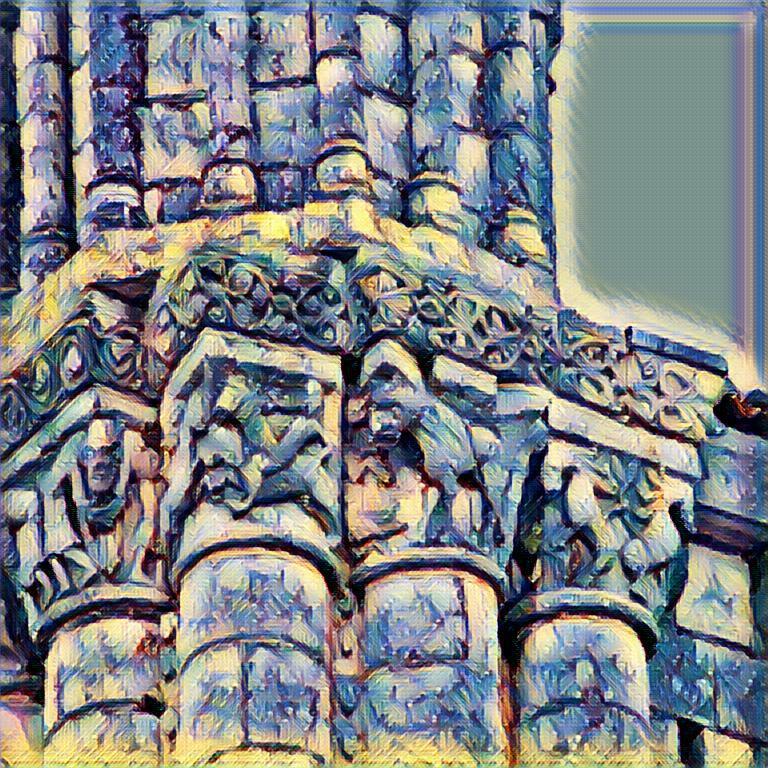 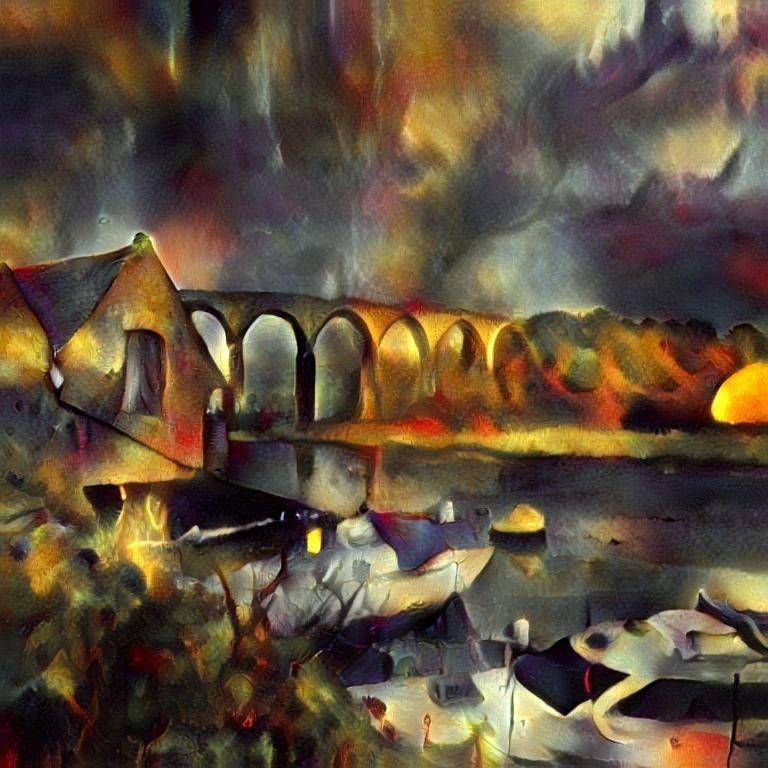 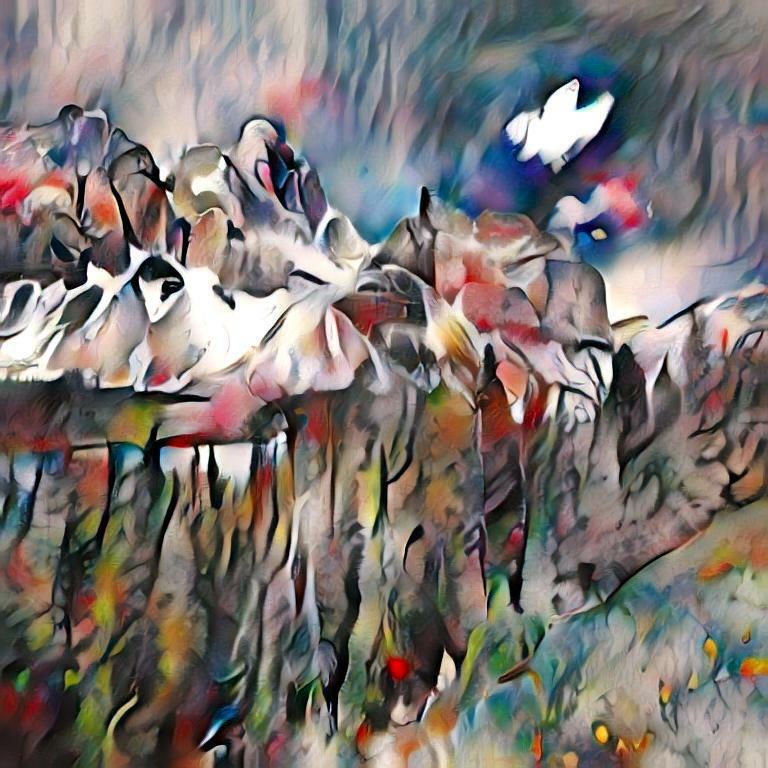 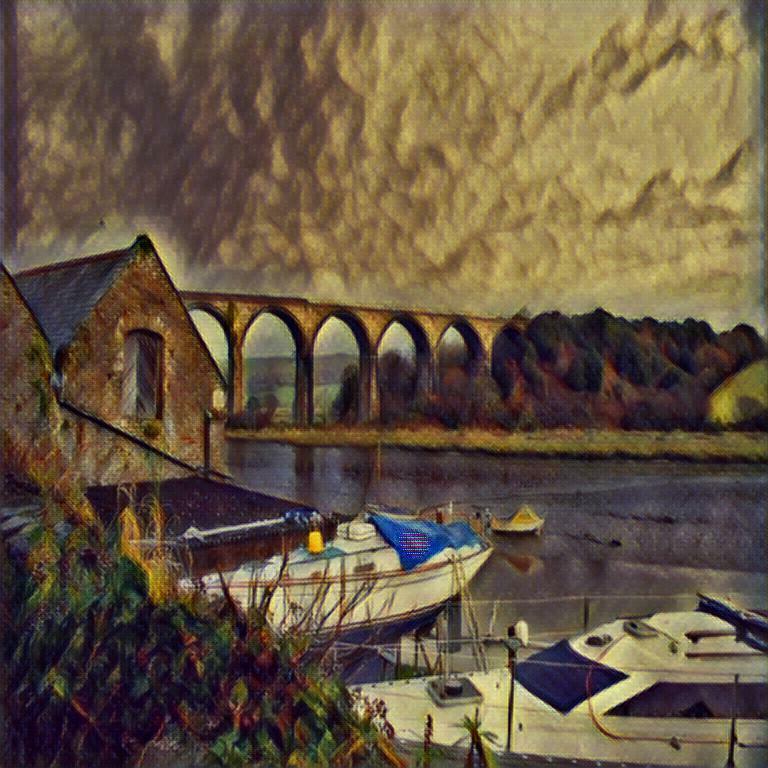 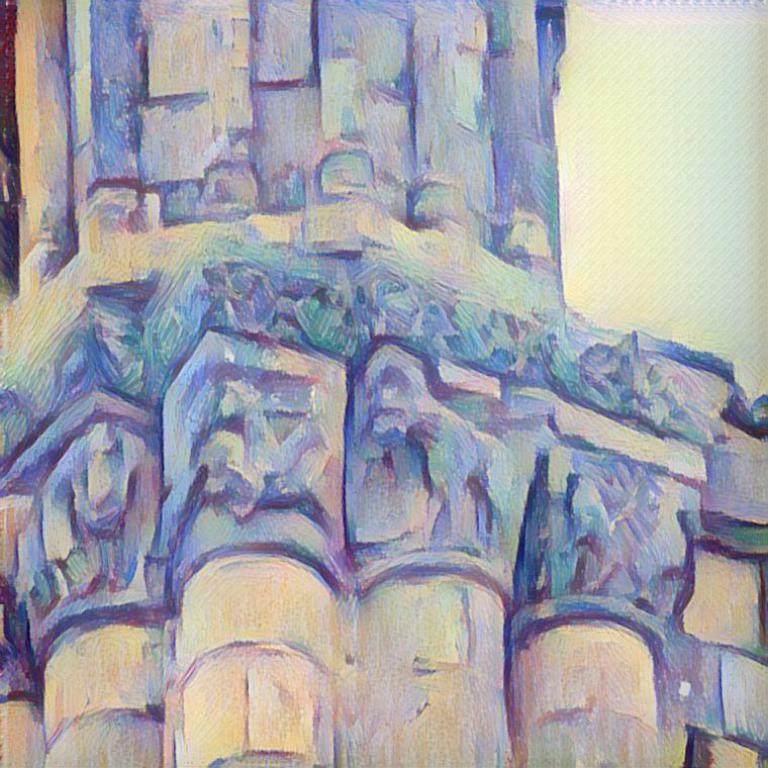 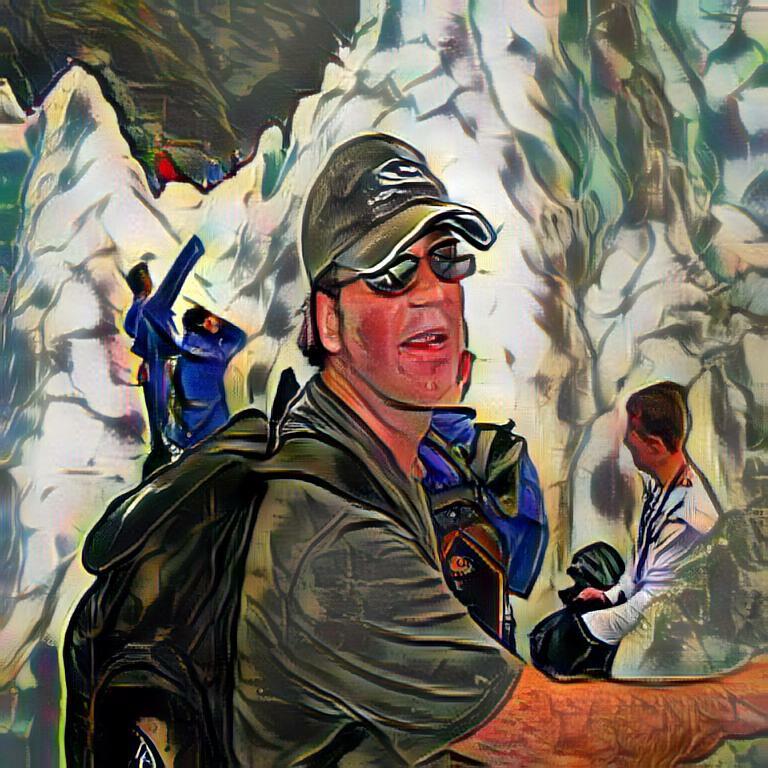 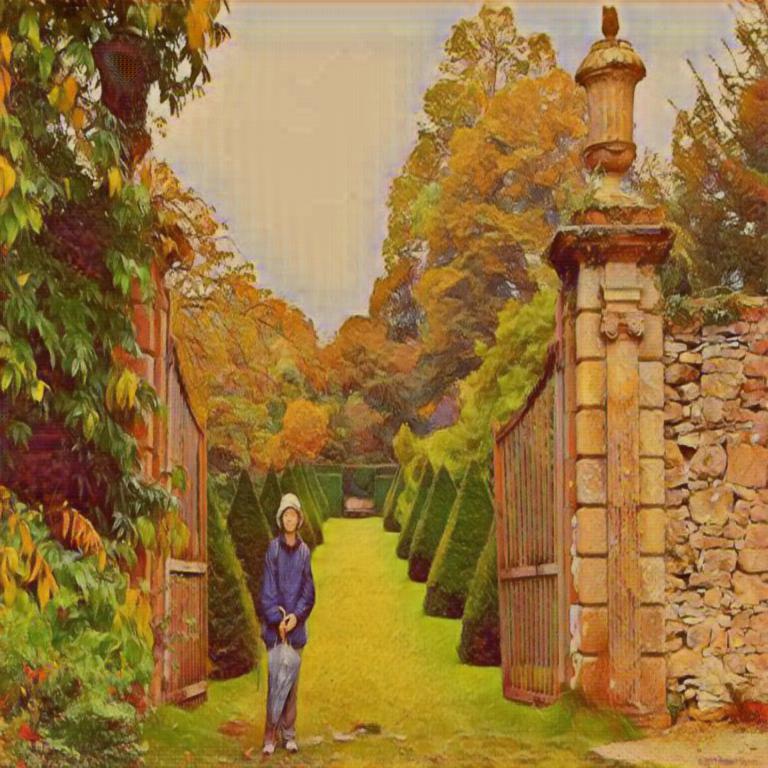 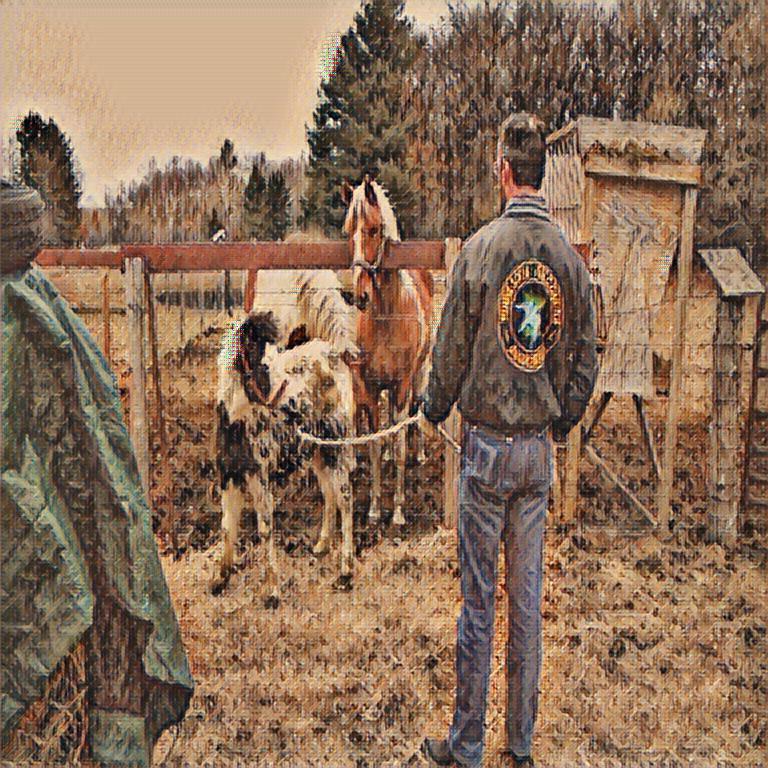 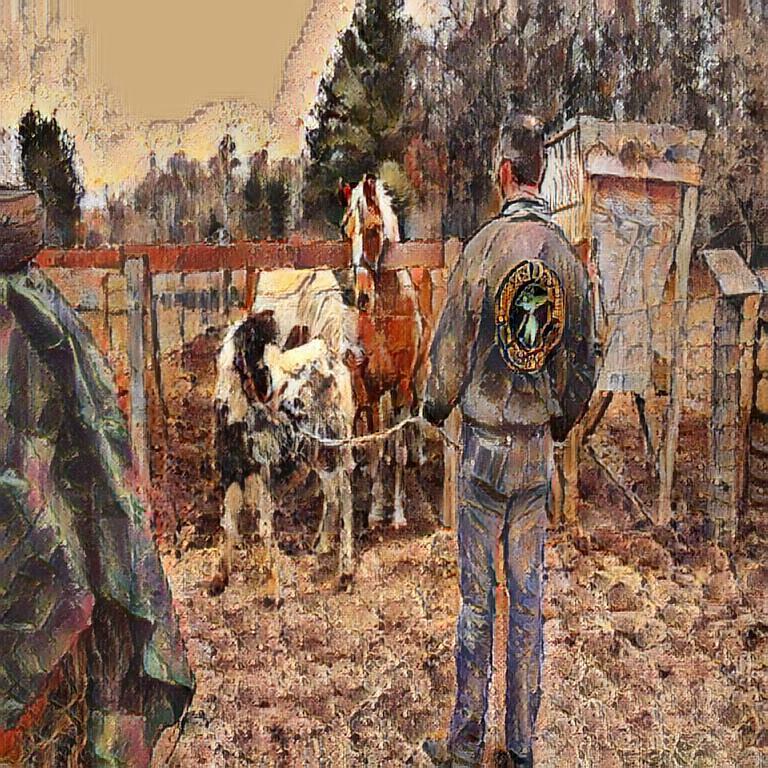 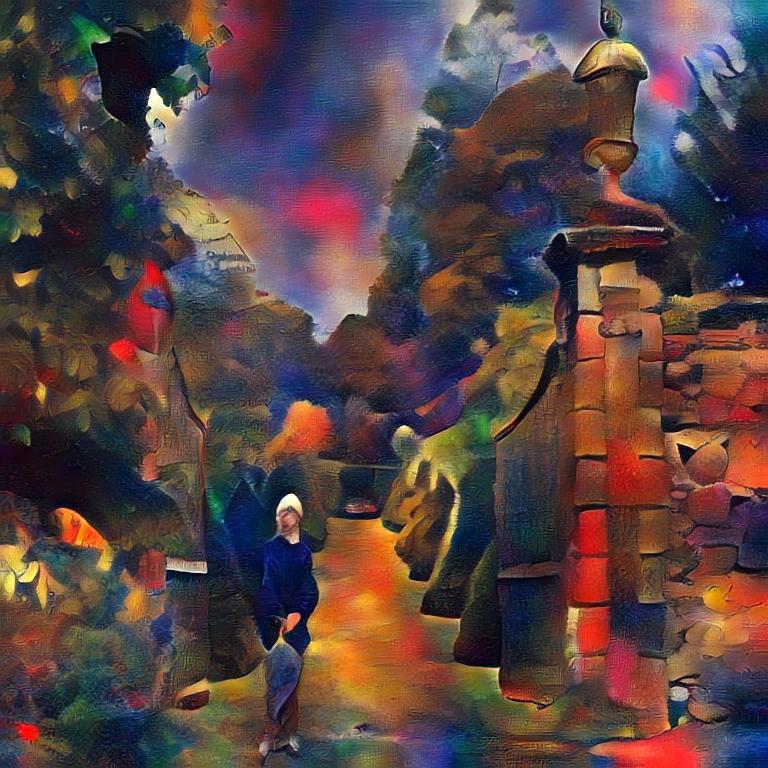 Recently, style transfer has received a lot of attention. 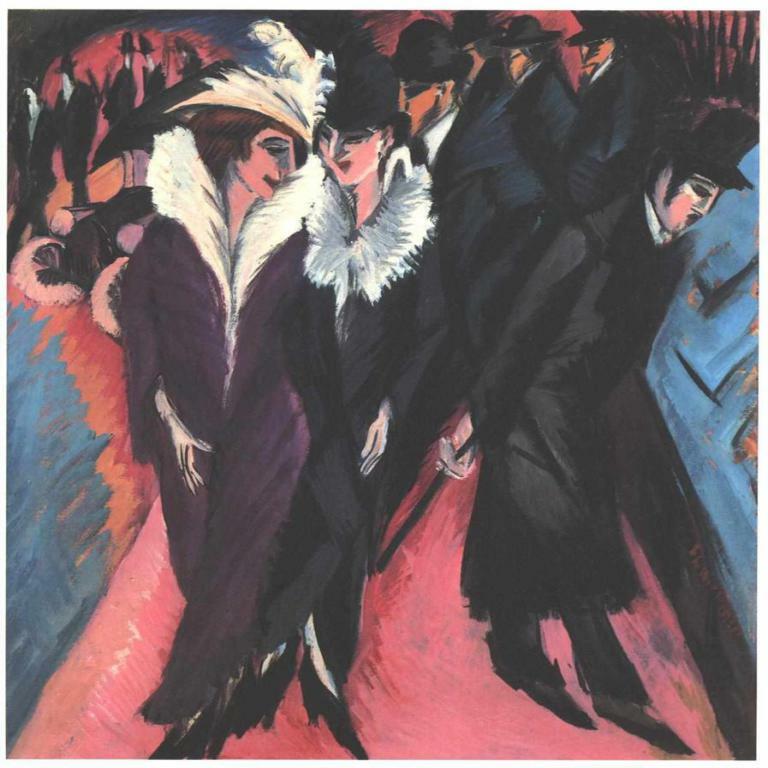 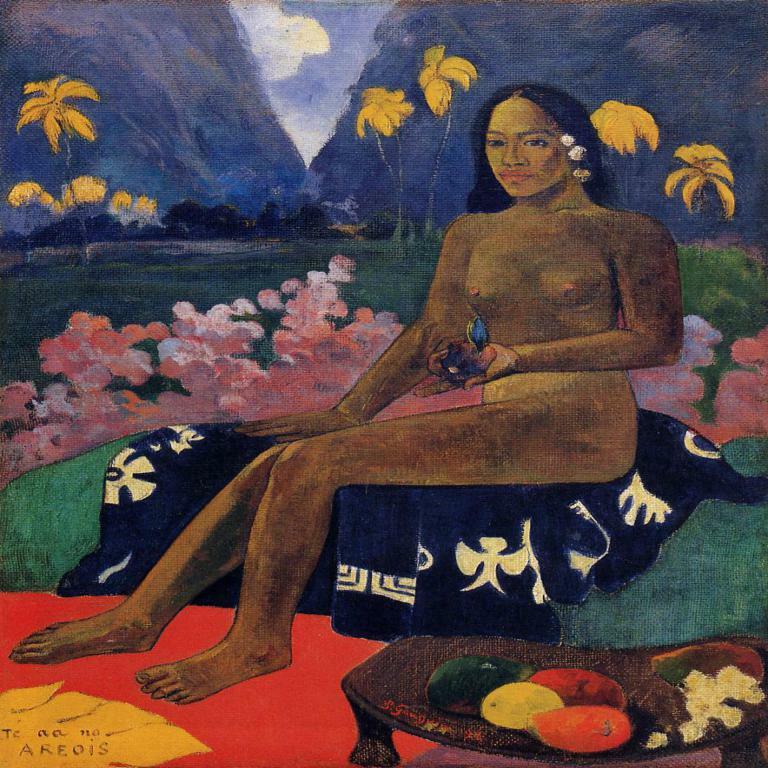 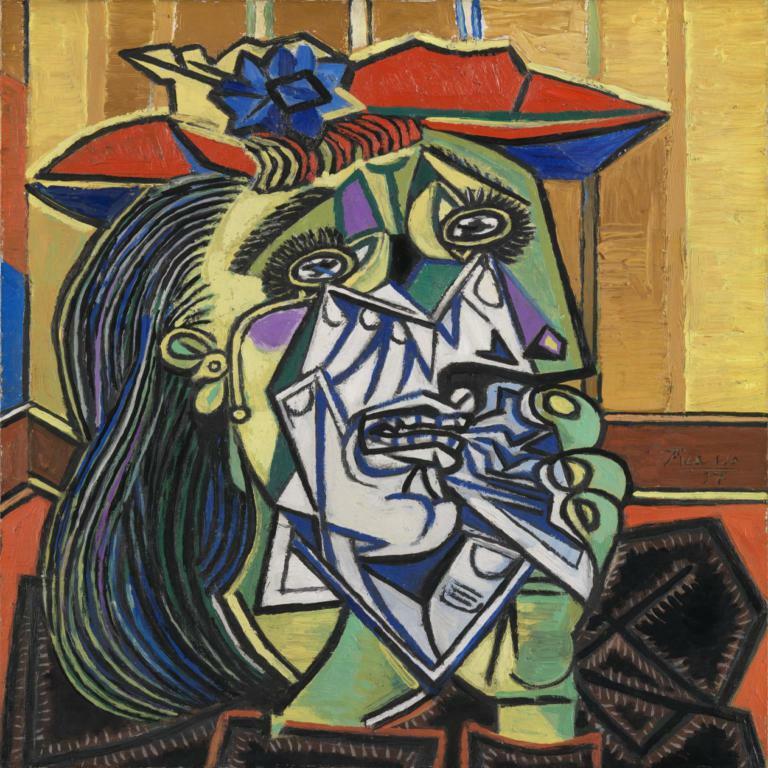 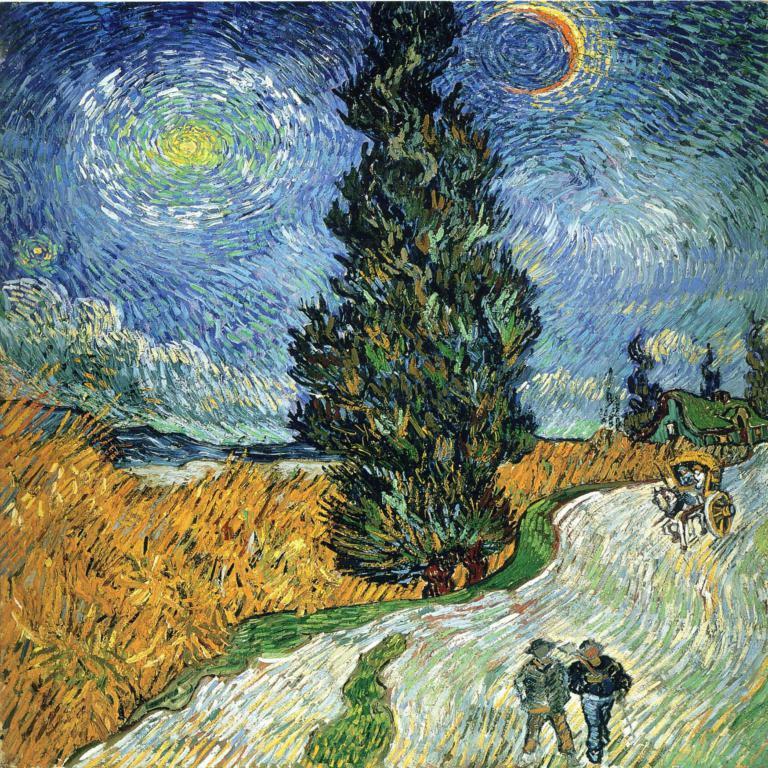 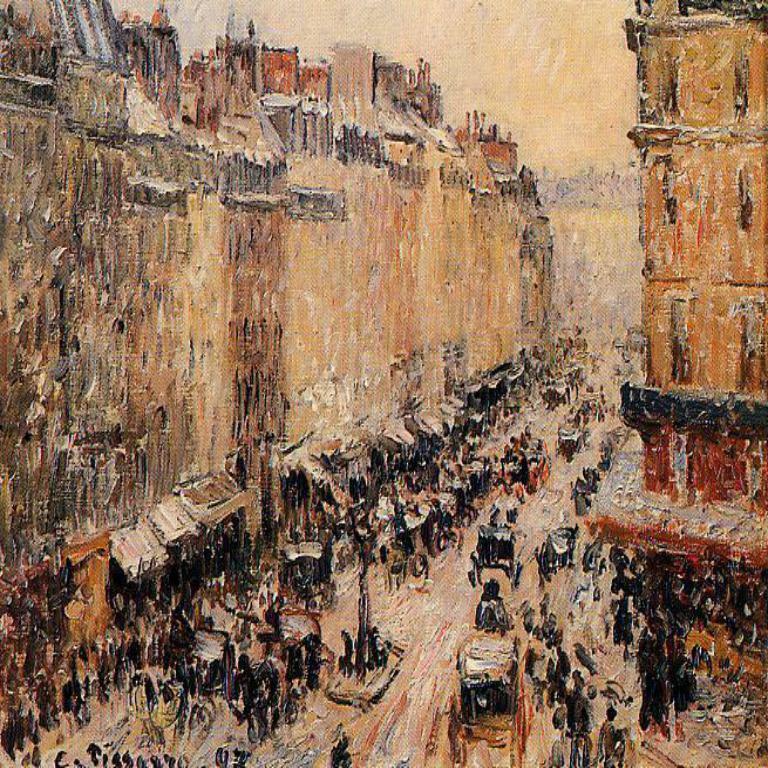 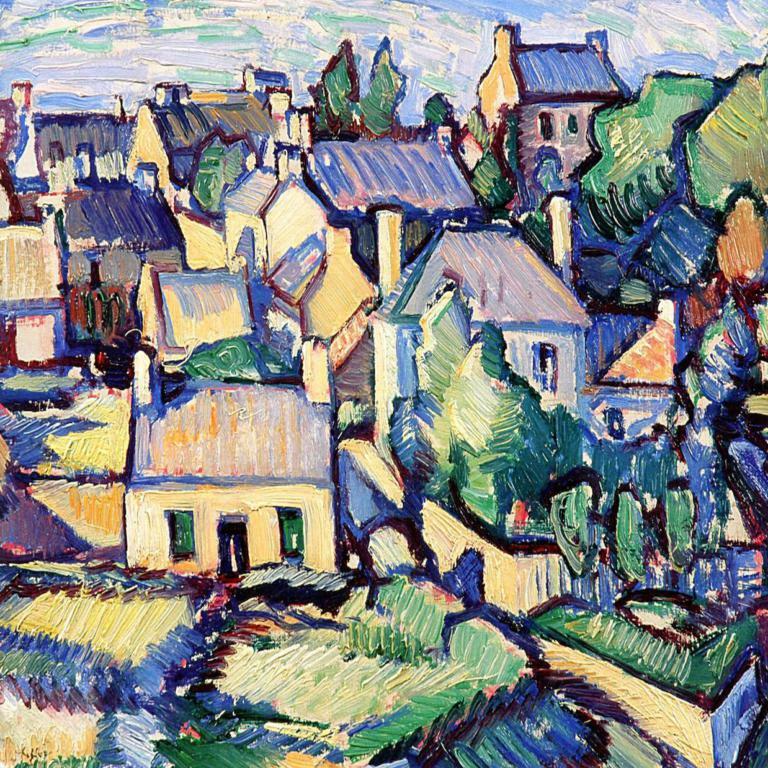 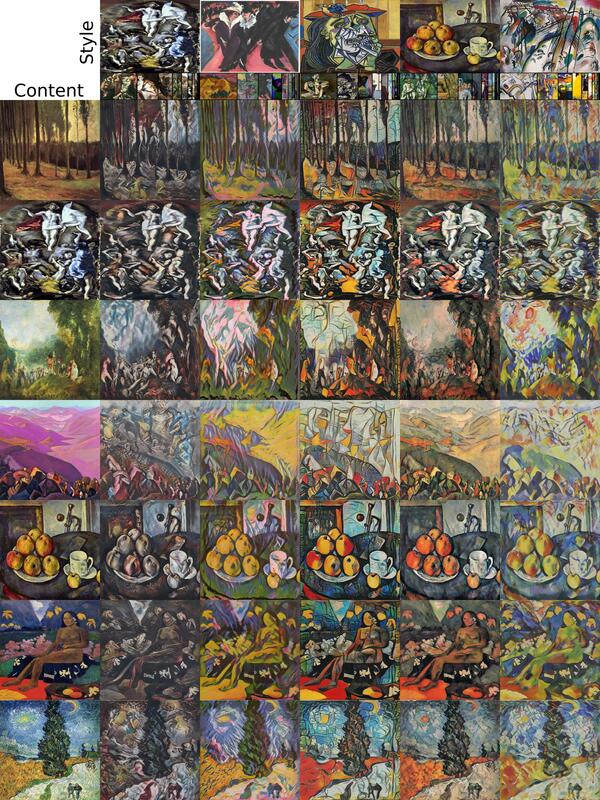 While much of this research has aimed at speeding up processing, the approaches are still lacking from a principled, art historical standpoint: a style is more than just a single image or an artist, but previous work is limited to only a single instance of a style or shows no benefit from more images. 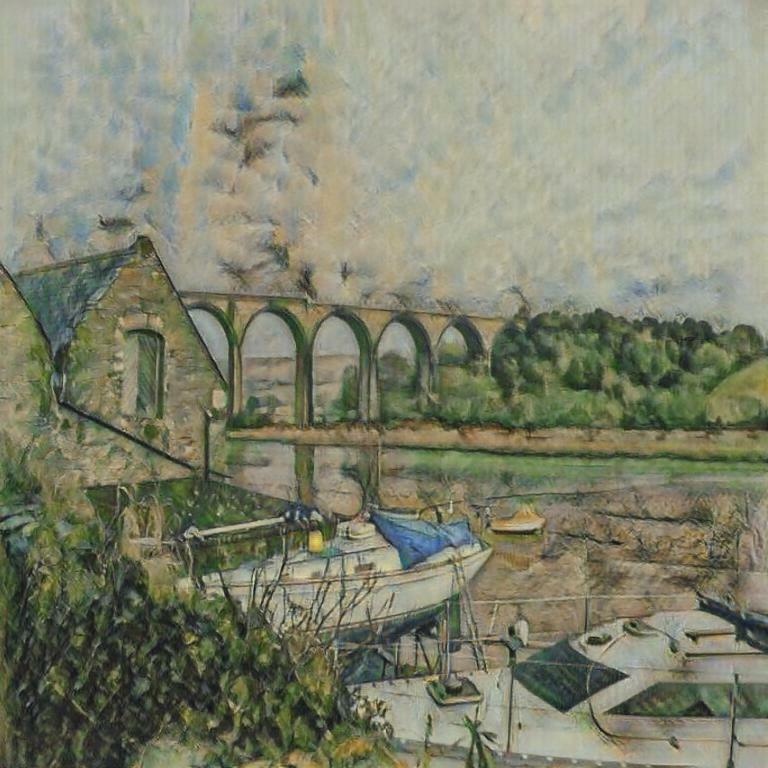 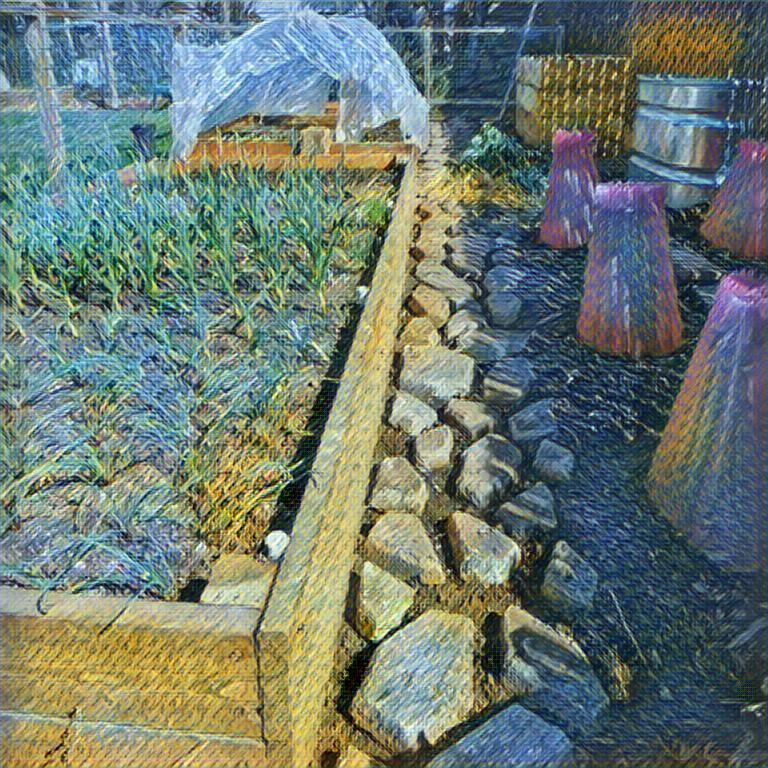 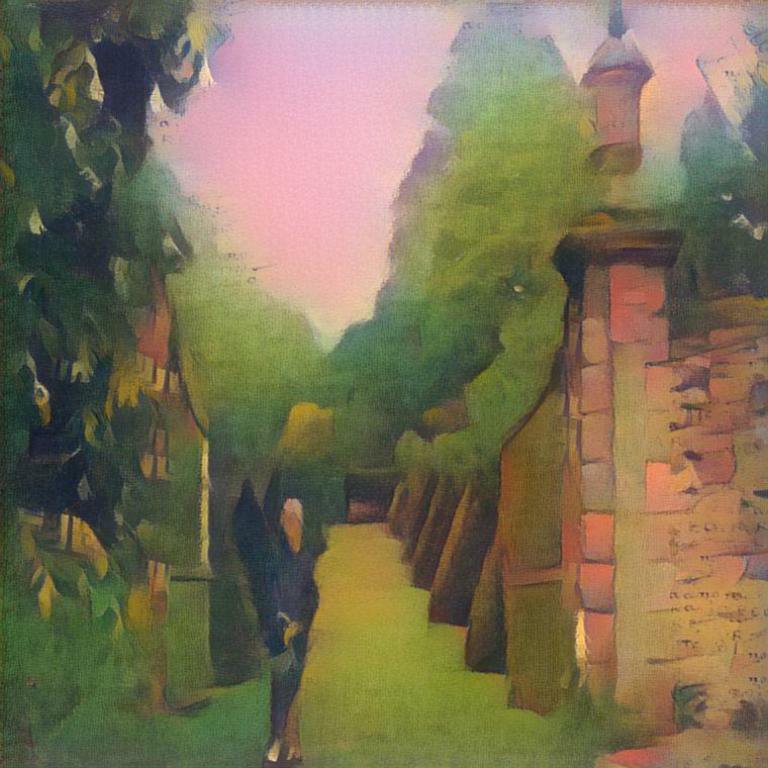 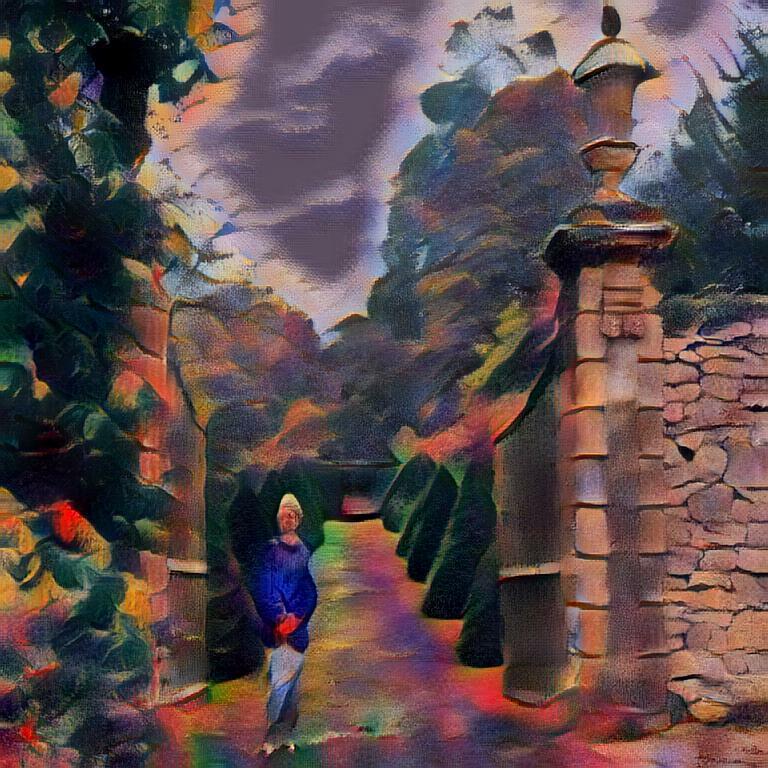 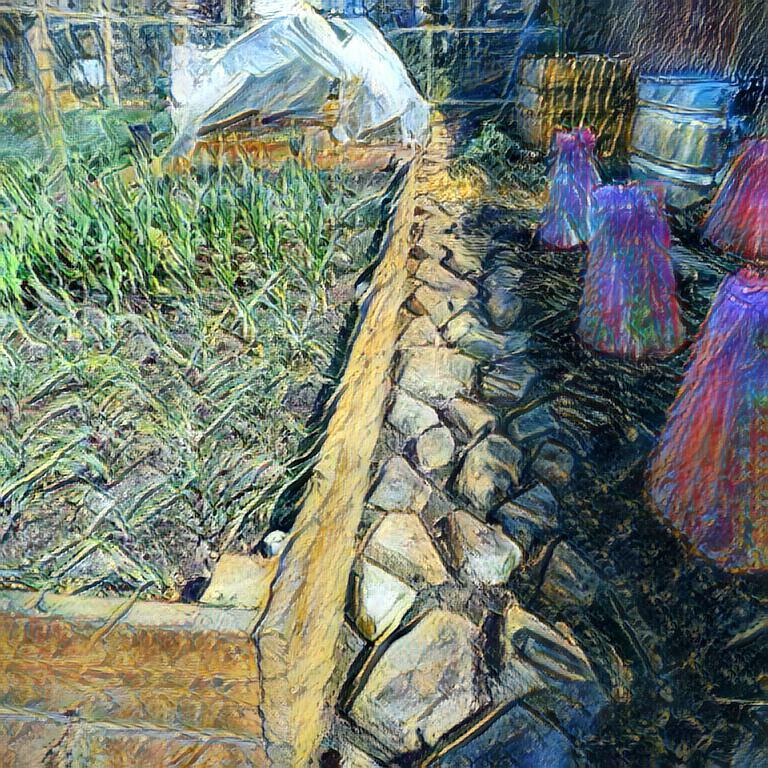 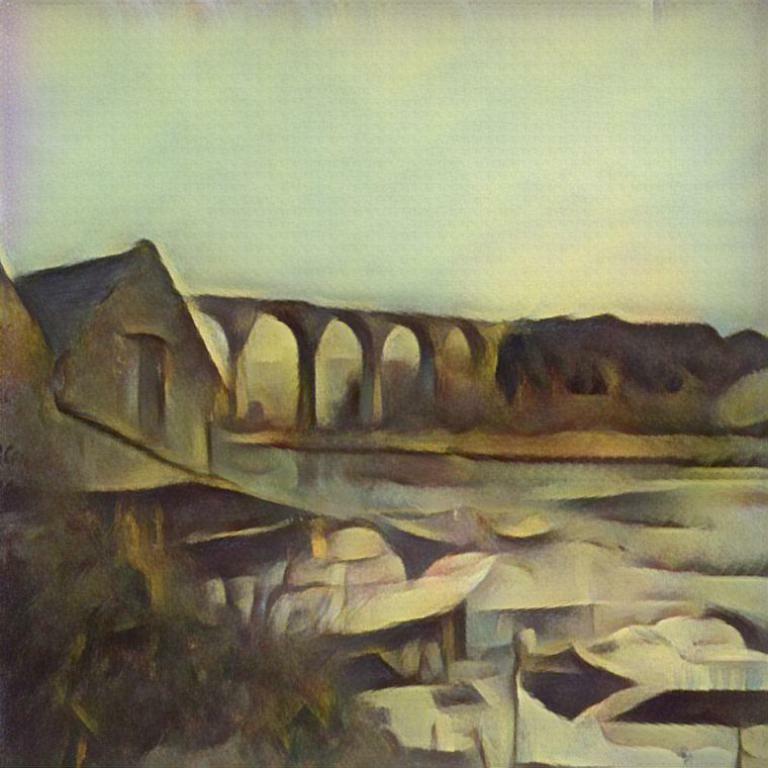 Moreover, previous work has relied on a direct comparison of art in the domain of RGB images or on CNNs pre-trained on ImageNet, which requires millions of labeled object bounding boxes and can introduce an extra bias, since it has been assembled without artistic consideration. 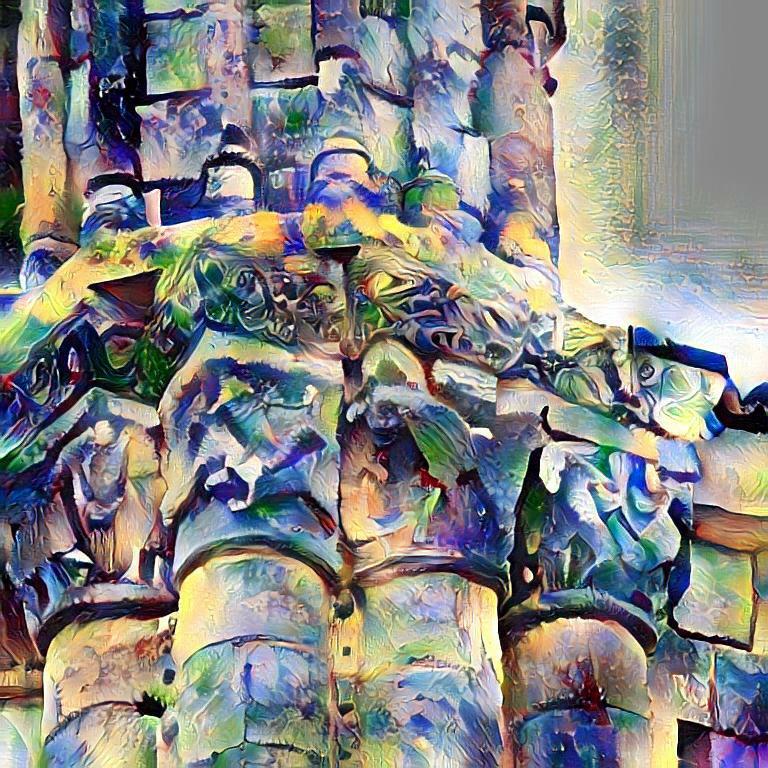 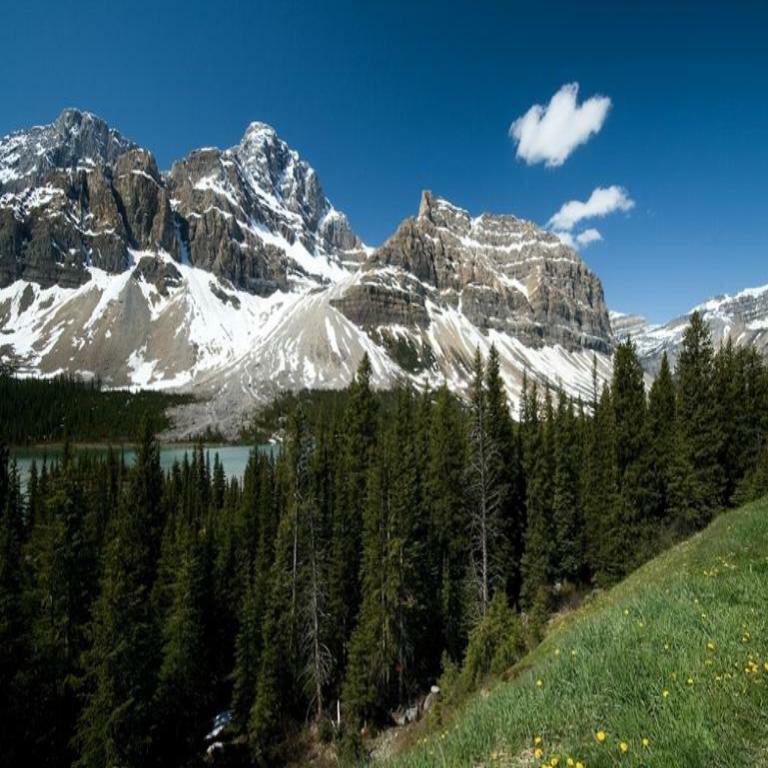 To circumvent these issues, we propose a style-aware content loss, which is trained jointly with a deep encoder-decoder network for real-time, high-resolution stylization of images and videos. 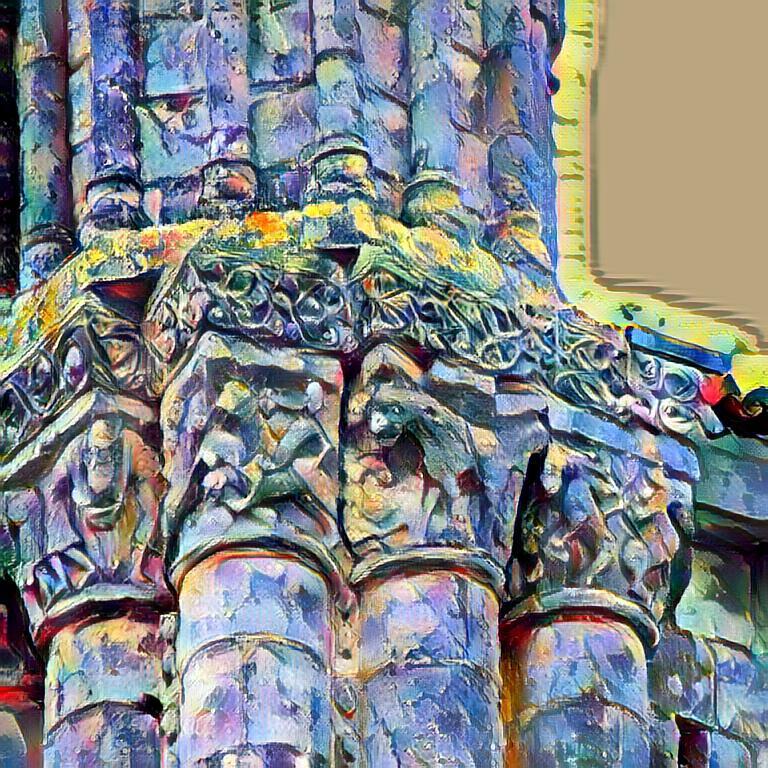 We propose a quantitative measure for evaluating the quality of a stylized image and also have art historians rank patches from our approach against those from previous work. 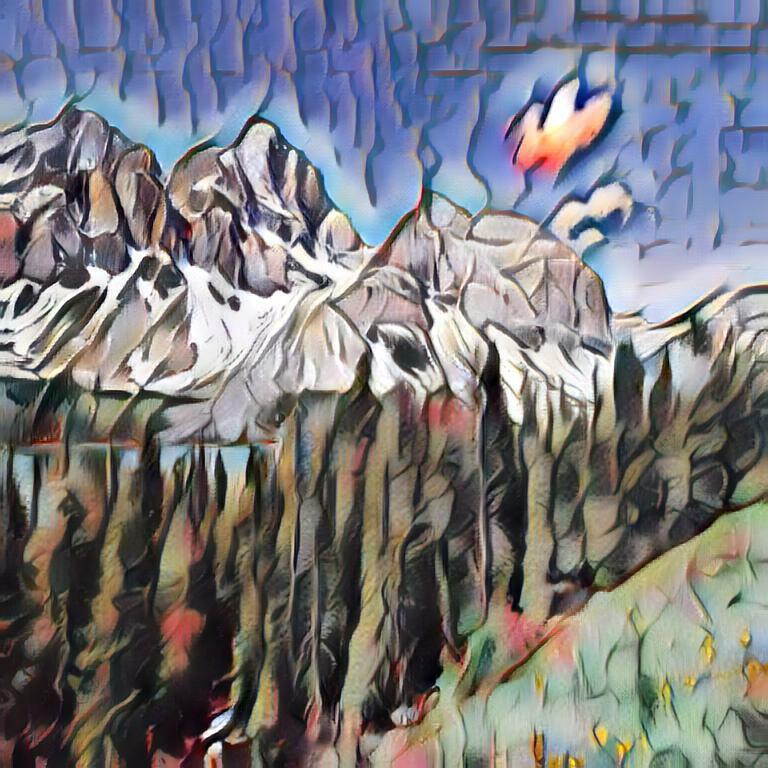 These and our qualitative results ranging from small image patches to megapixel stylistic images and videos show that our approach better captures the subtle nature in which a style affects content. 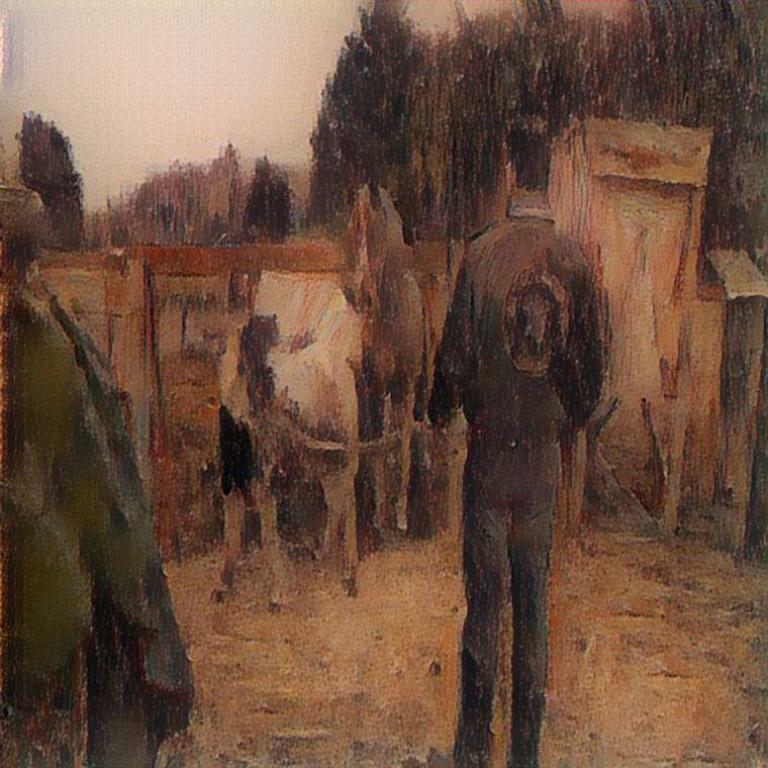 Artsiom Sanakoyeu*, Dmytro Kotovenko*, Sabine Lang, Björn Ommer. 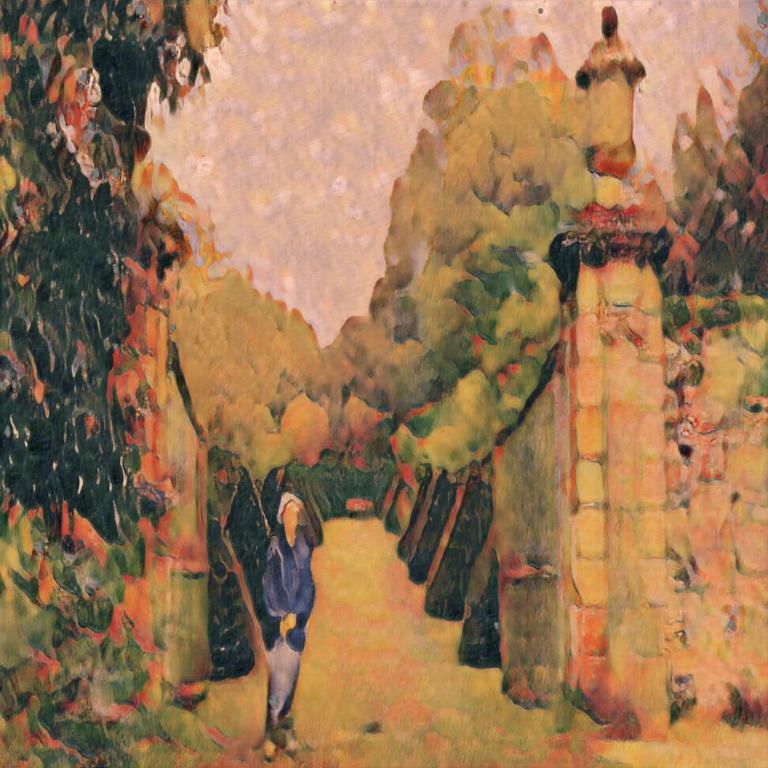 "A Style-Aware Content Loss for Real-time HD Style Transfer", in European Conference on Computer Vision (ECCV), 2018. 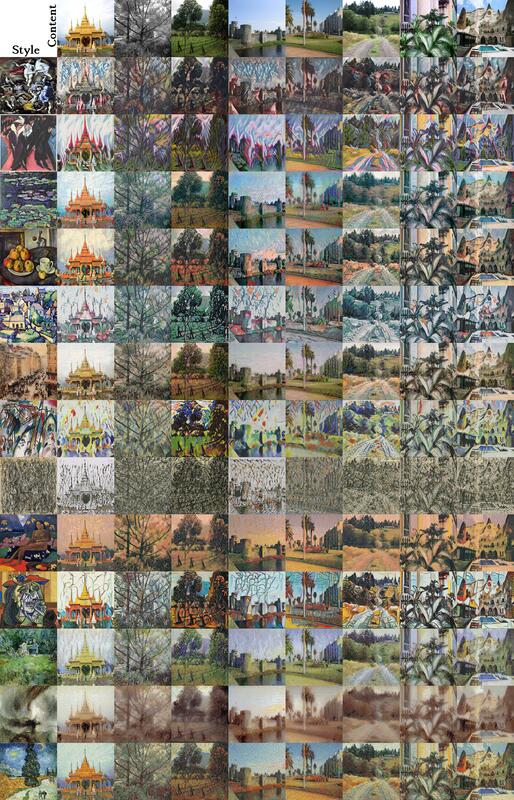 All images were generated in resolution 1280x1280 pix. 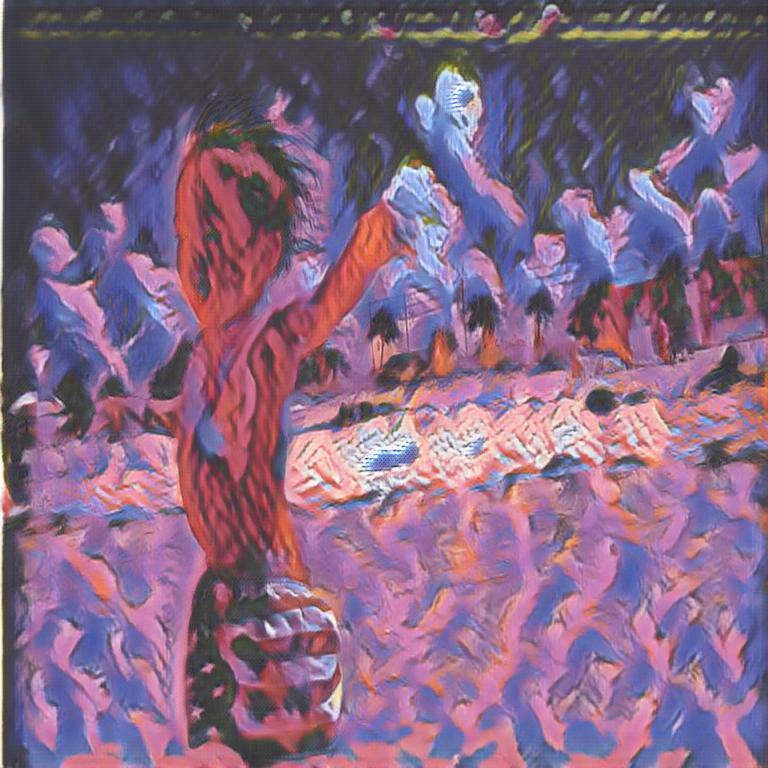 One can note that when the artwork presented in the style examples is used as a content image then a stylization result slightly differs from the original artwork. 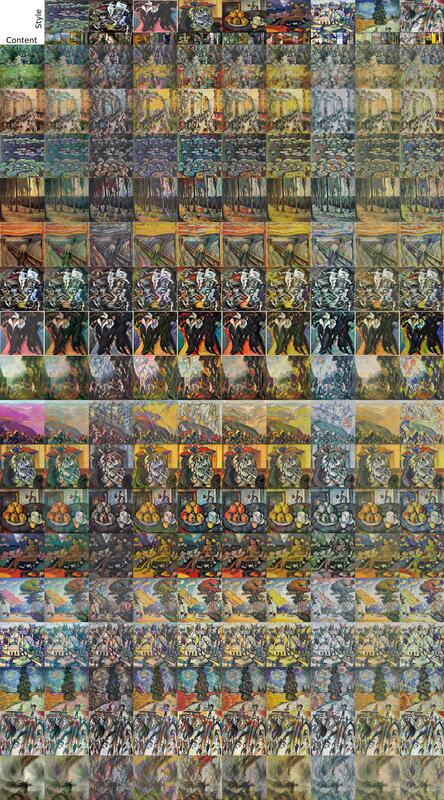 This is due to the fact that our method is utilizing not only one, but a group of related style examples collected by the style image grouping approach (cf. Sec. 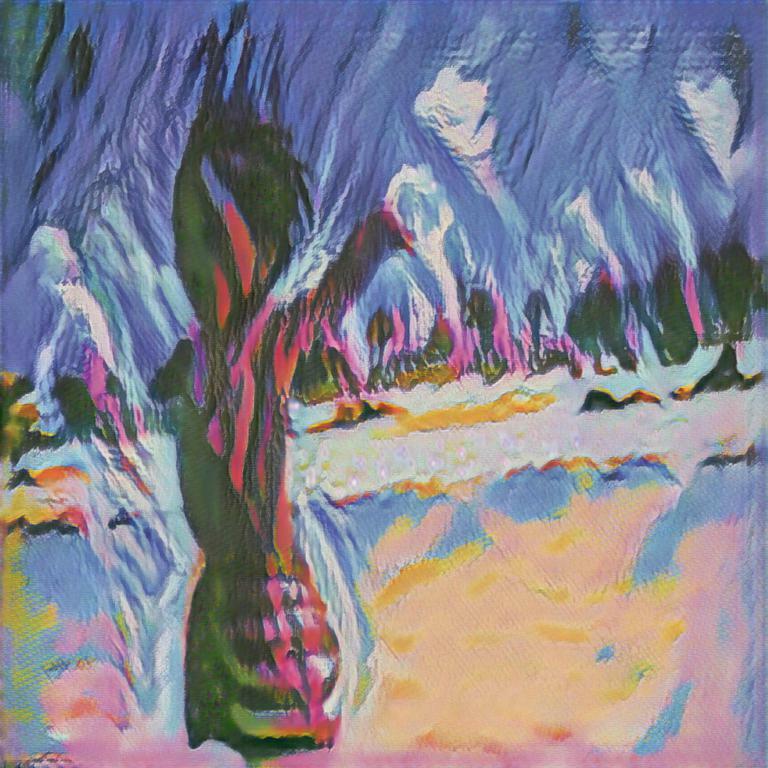 2.2 in the paper). 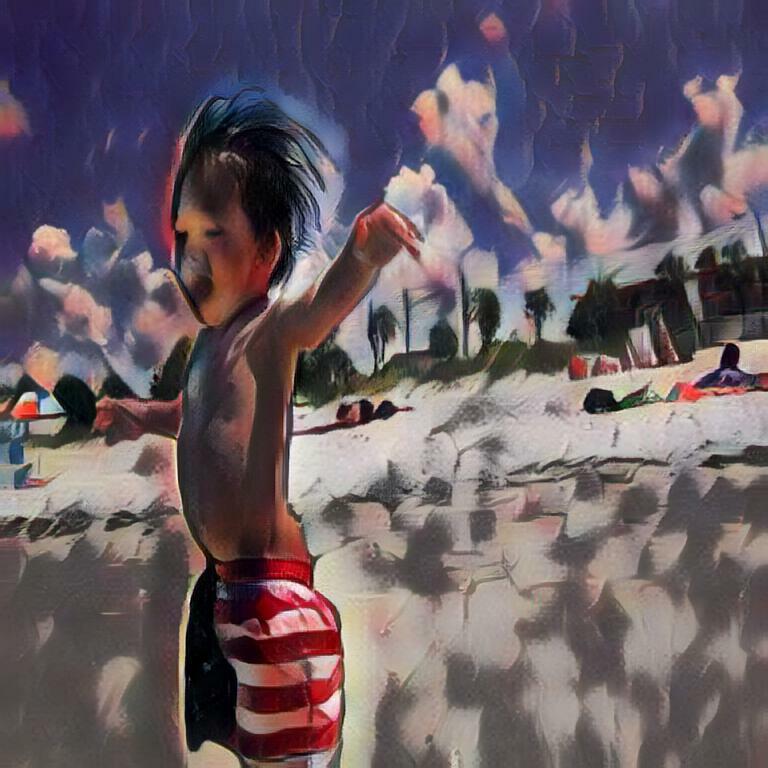 We also apply our method to video stylization. 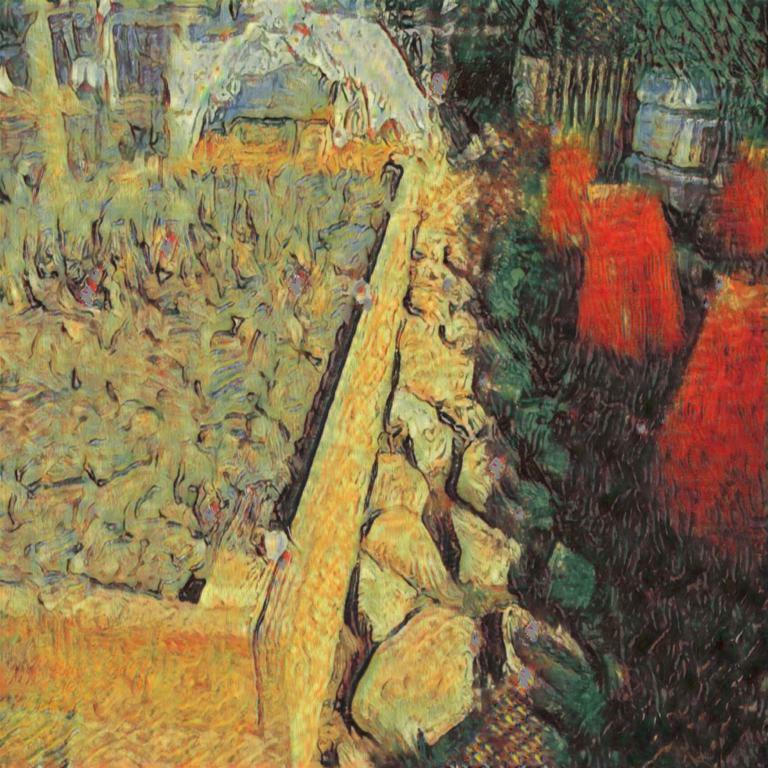 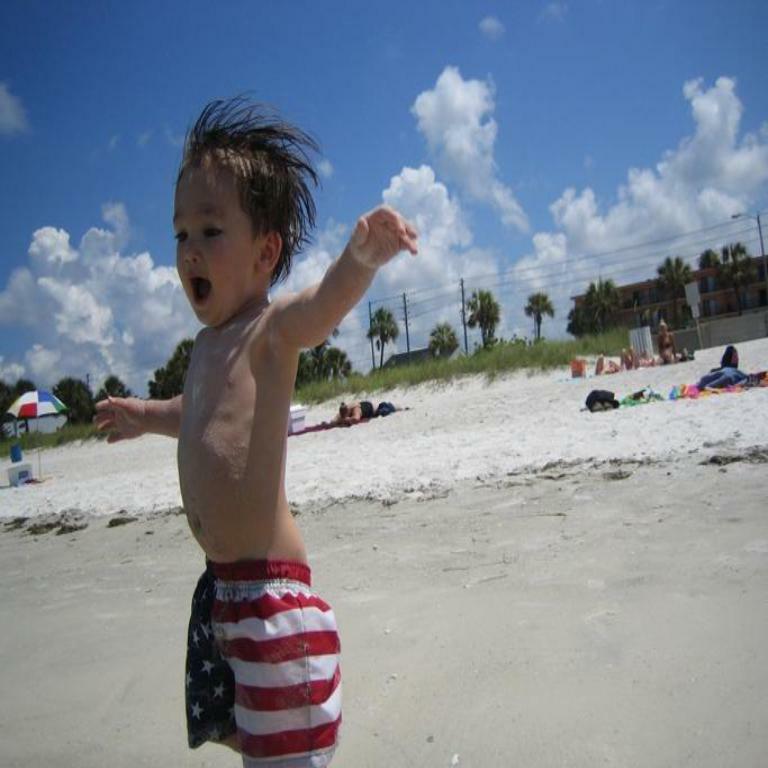 For example, our approach can stylize HD video (1280x720) at 9 FPS. We did not use any temporal regularization to show that our method produces equally good results for consecutive frames with varying appearance w/o extra constraints. 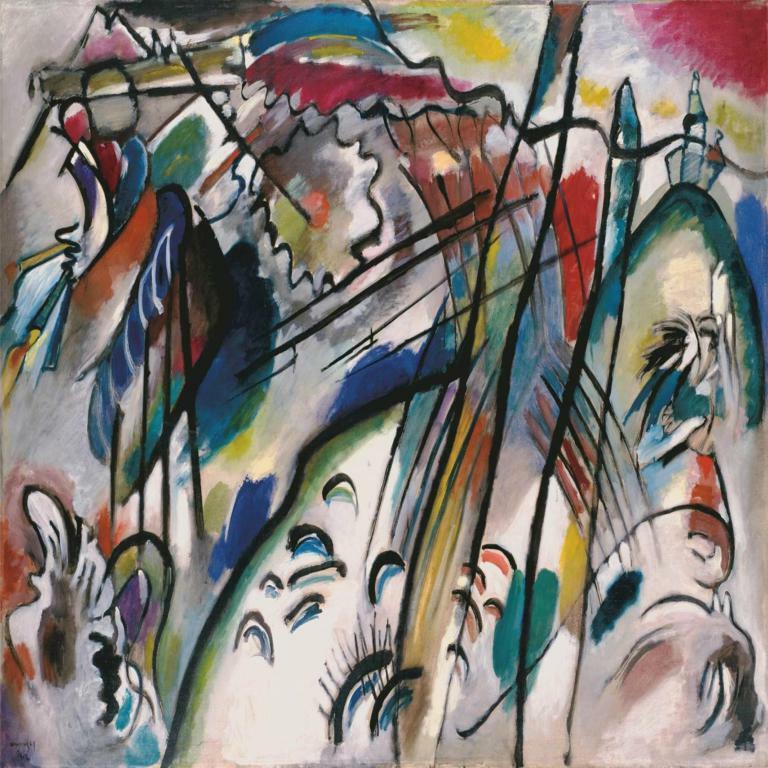 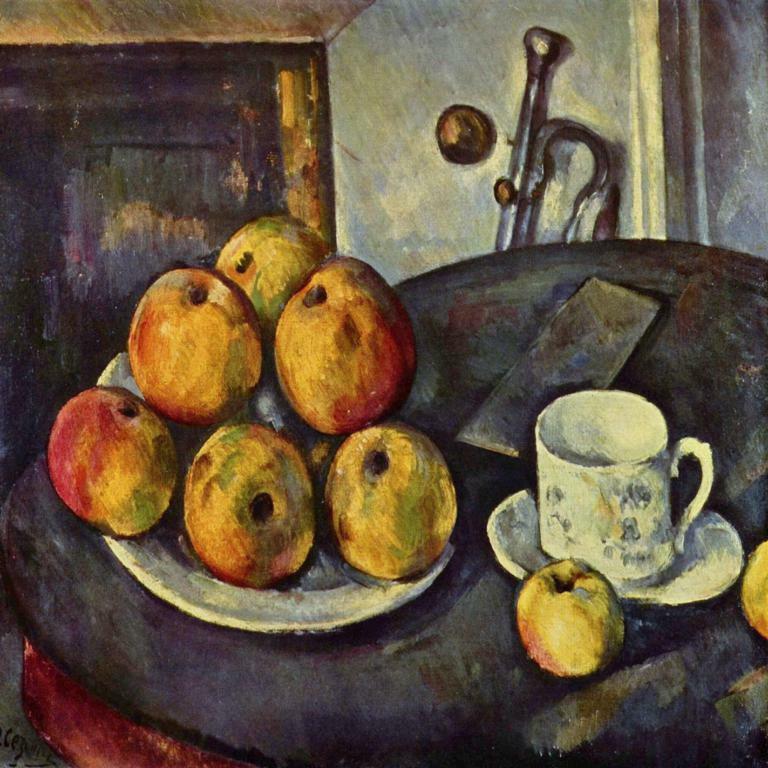 In the clockwise order: Content, stylization for Cézanne, Picasso and Kandinsky. Our approach can generate high-resolution stylizations from low-resolution content images. 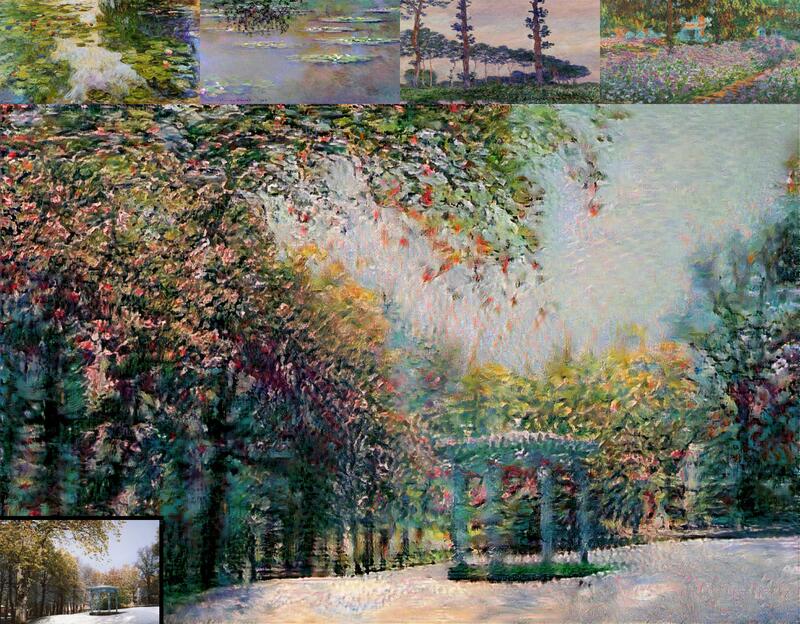 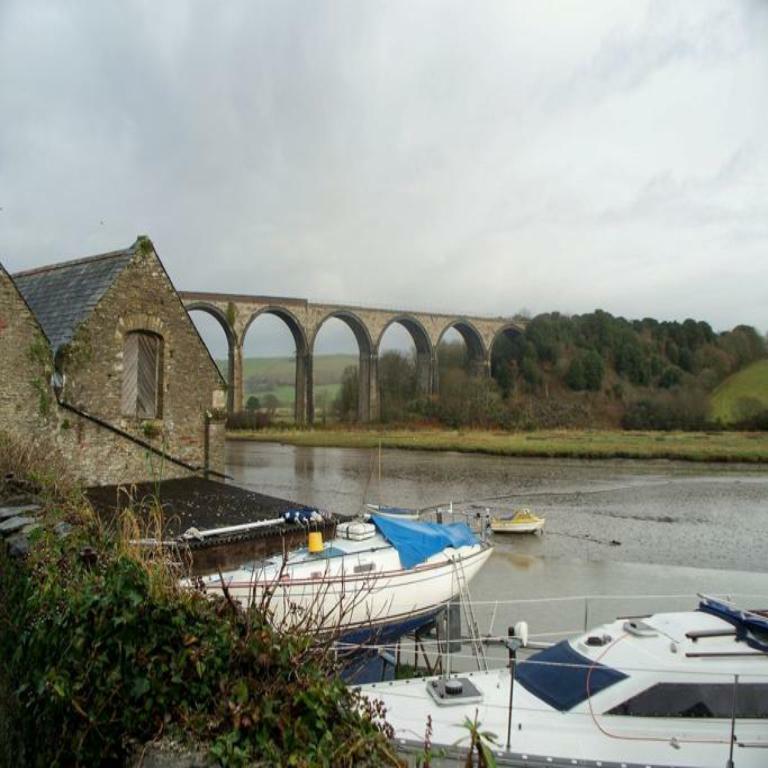 To emulate low-resolution images we first downscale content images from 1280x1280 pix to 256x256 pix. 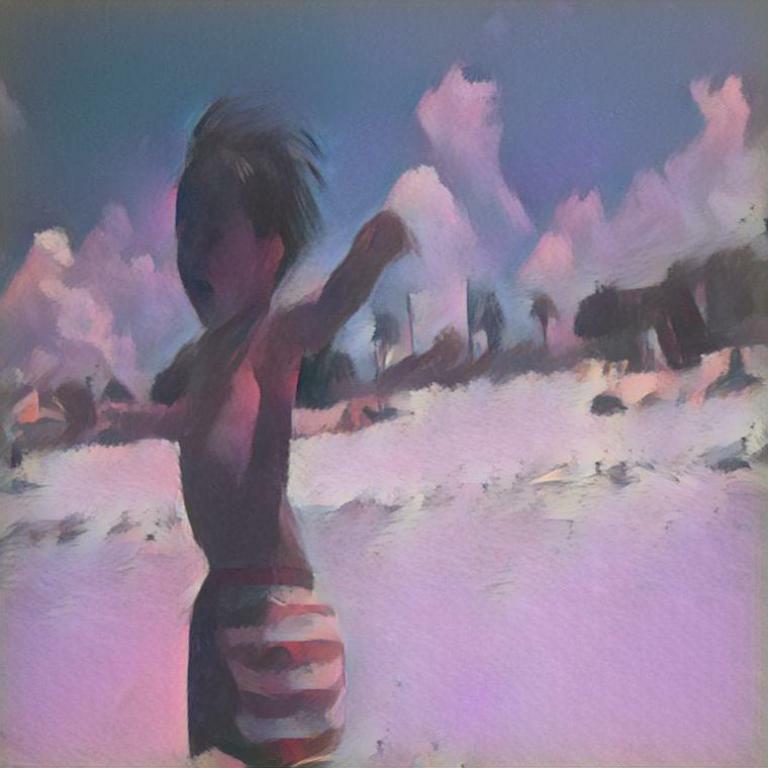 Then, to generate a high-resolution stylization from 256x256 pix image we upscale the image to 1280x1280 pix using bilinear interpolation and apply the model. 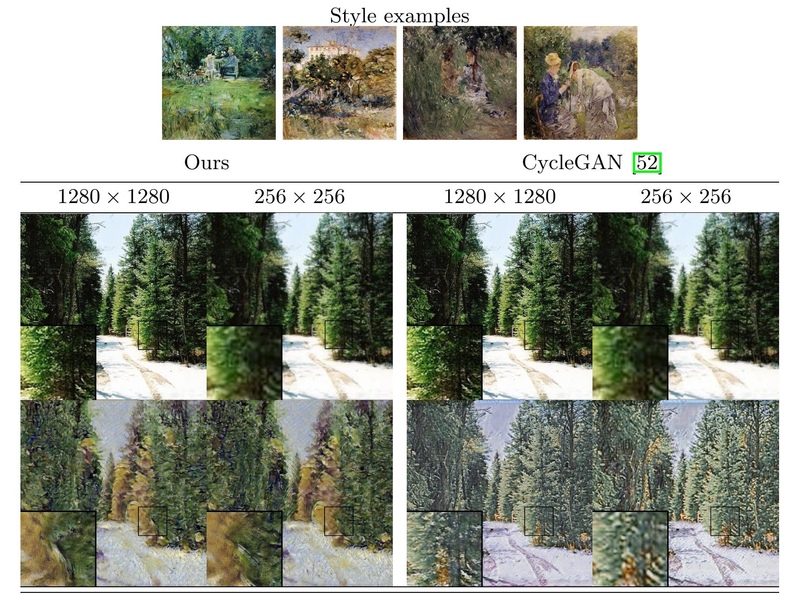 In the Figure below we compare results from our approach on low-resolution images (256x256 pix) and original high-resolution images (1280x1280 pix) with CycleGan . 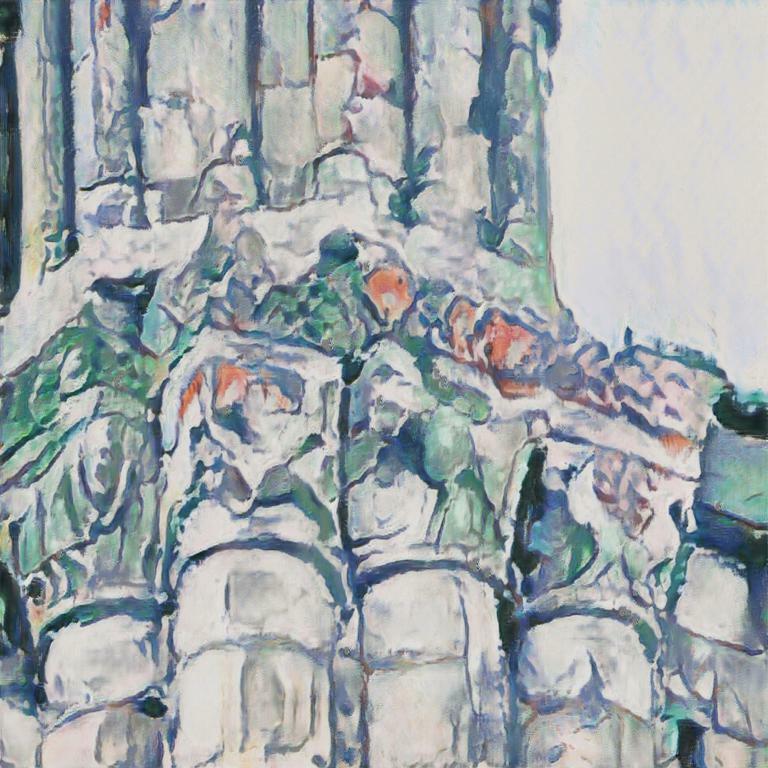 It shows that our approach can produce a high-resolution image with a lot of artistic details in both cases - starting from a high and low resolution photo (columns 1 and 2), where the approach  produces stylizations with significantly more blurring artifacts and inferior quality when the content images have lower resolution (column 4). 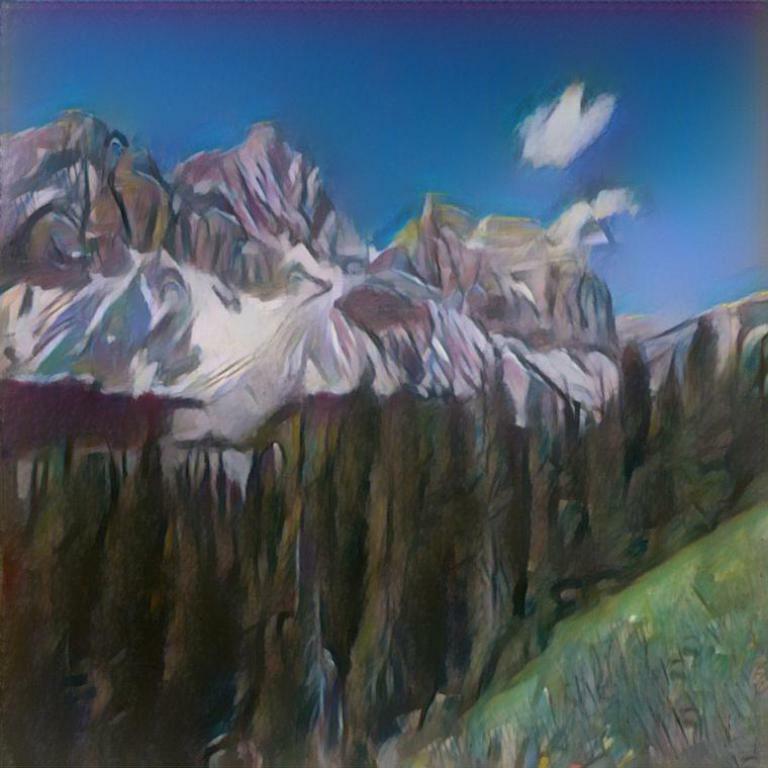 Leon Gatys, Alexander Ecker, Matthias Bethge "Image style transfer using convolutional neural networks", in CVPR 2016. 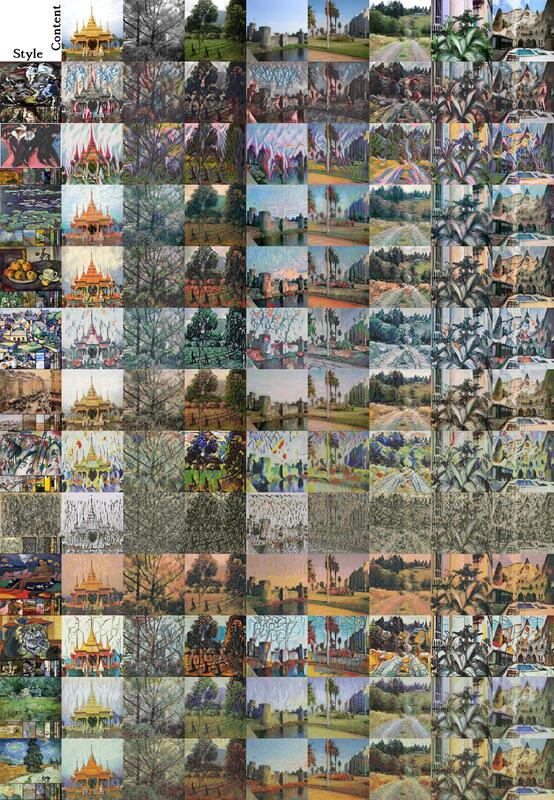 Jun-Yan Zhu, Taesung Park, Phillip Isola, Alexei A. Efros "Unpaired Image-to-Image Translation using Cycle-Consistent Adversarial Networks", in ICCV 2017. 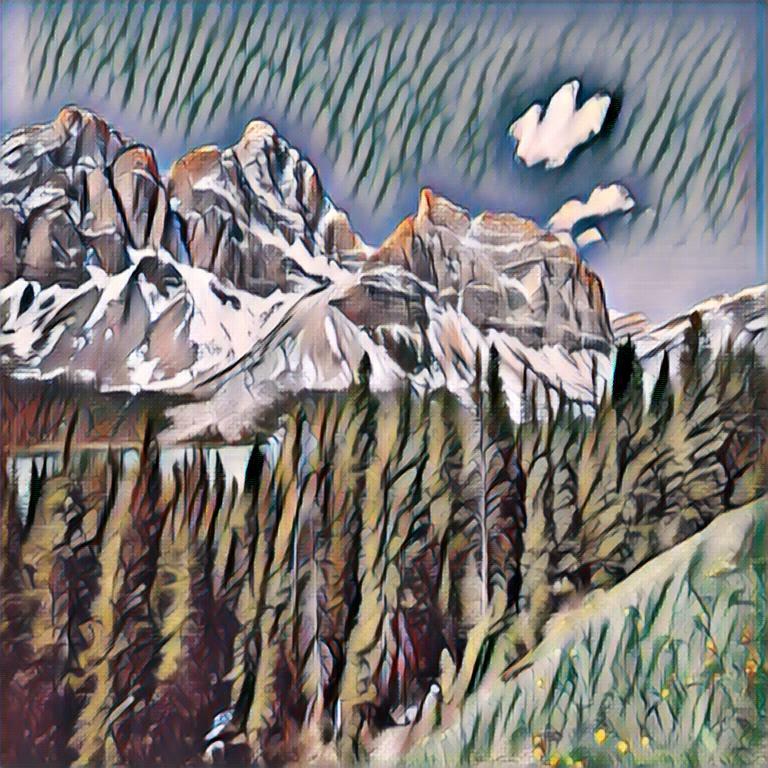 Xun Huang, Serge Belongie "Arbitrary Style Transfer in Real-time with Adaptive Instance Normalization", in ICCV 2017. Li, Y., Fang, C., Yang, J., Wang, Z., Lu, X., Yang, M.H. 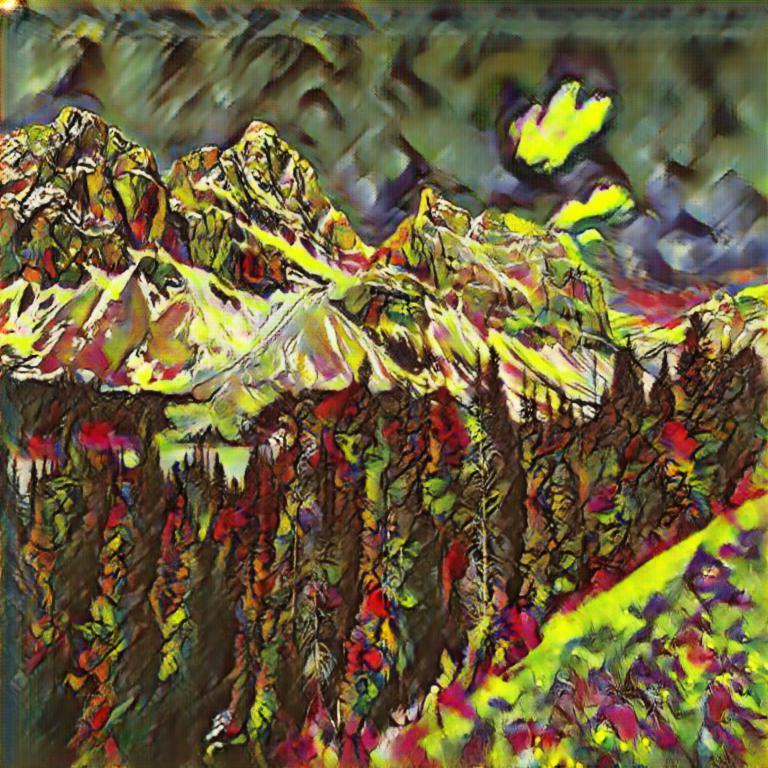 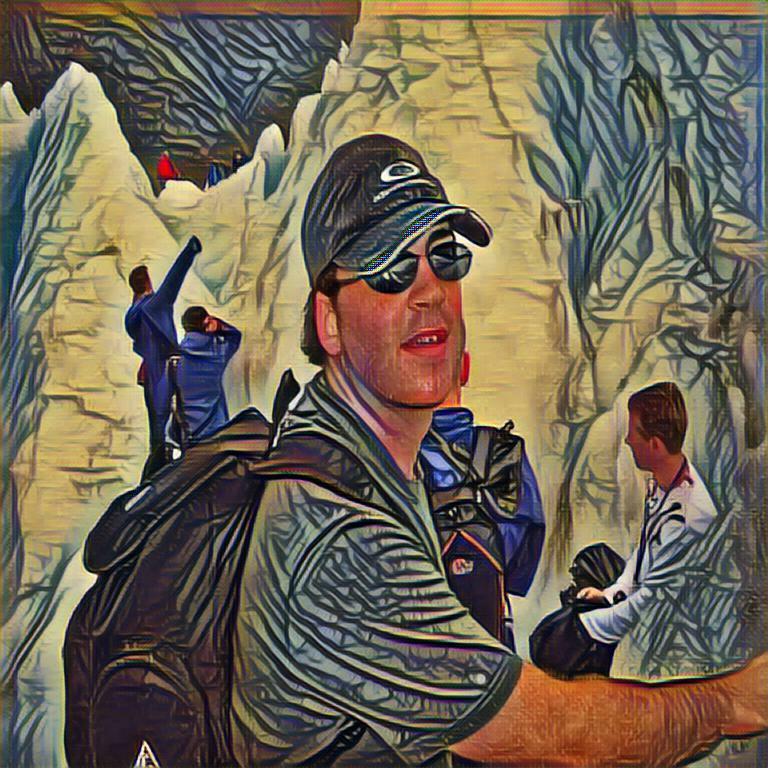 "Universal style transfer via feature transforms", in NIPS 2017. 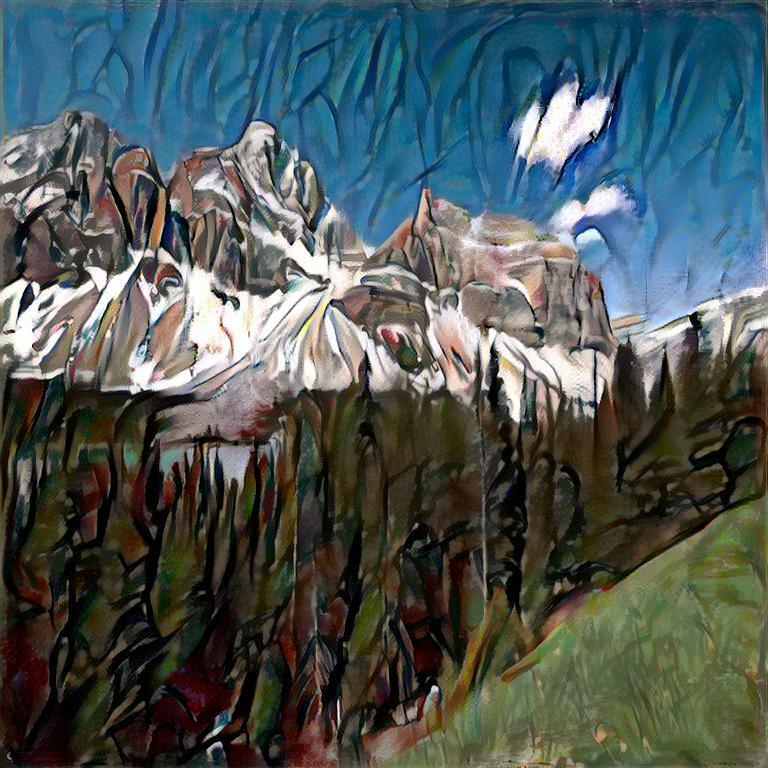 Justin Johnson, Alexandre Alahi, Li Fei-Fei "Perceptual losses for real-time style transfer and super-resolution", in ECCV 2016.